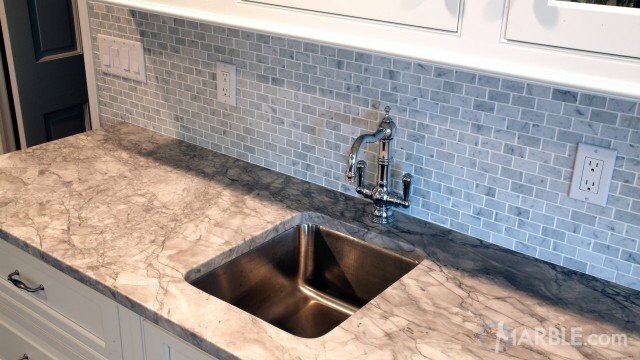 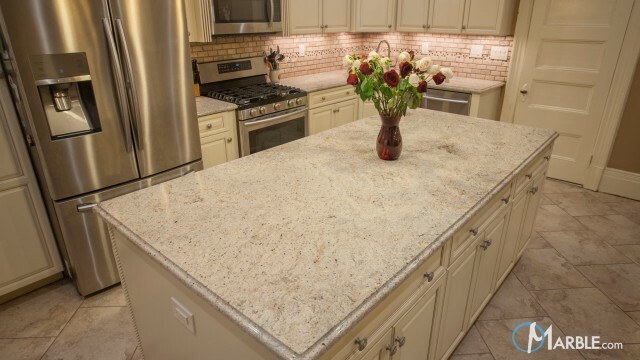 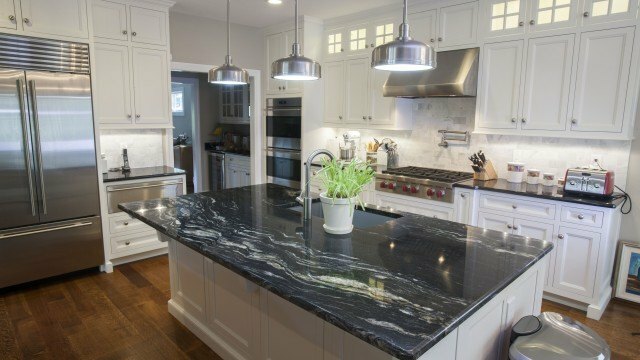 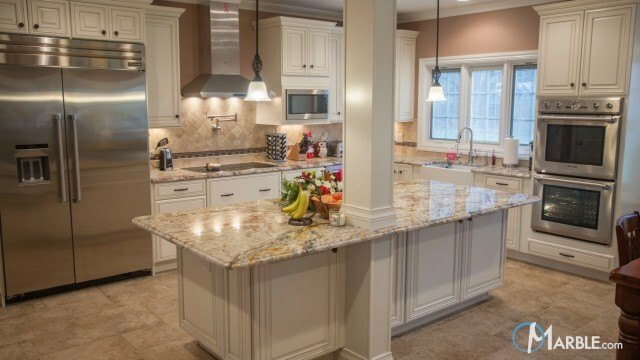 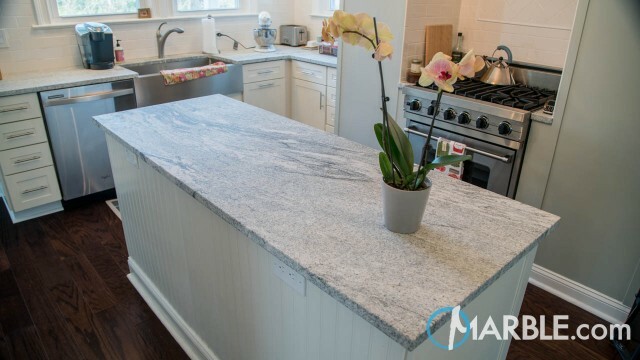 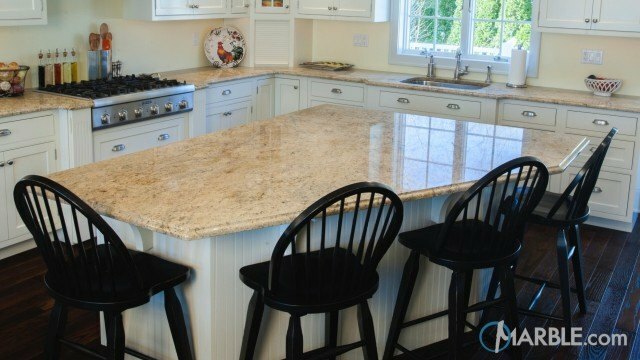 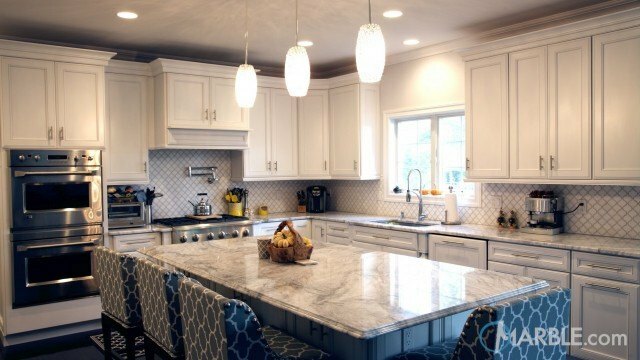 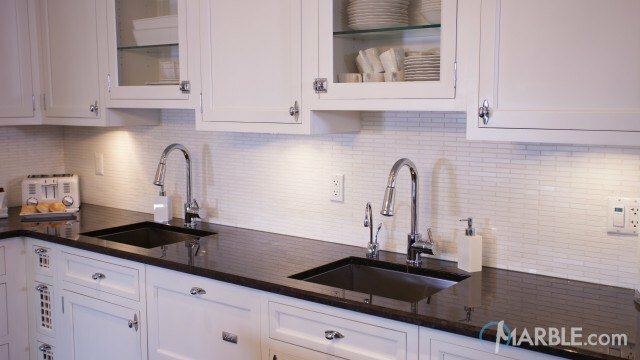 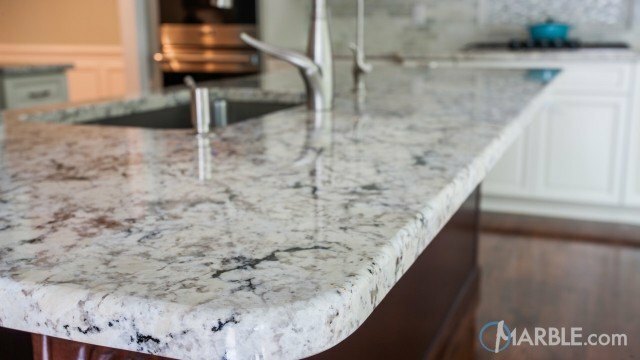 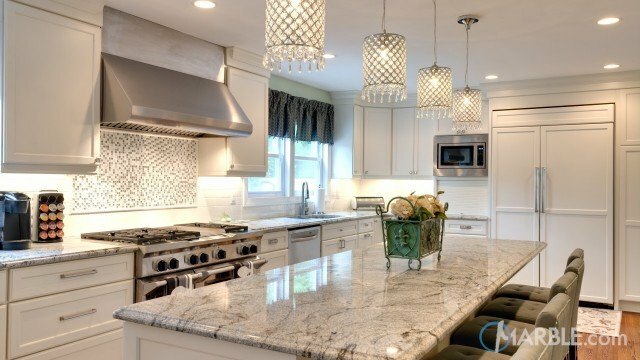 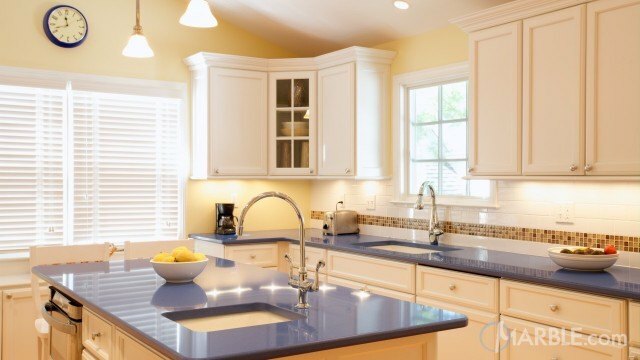 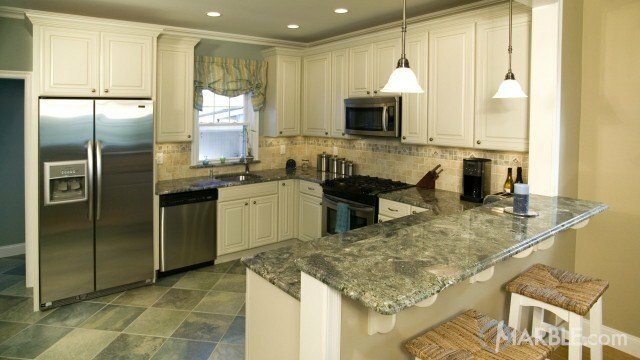 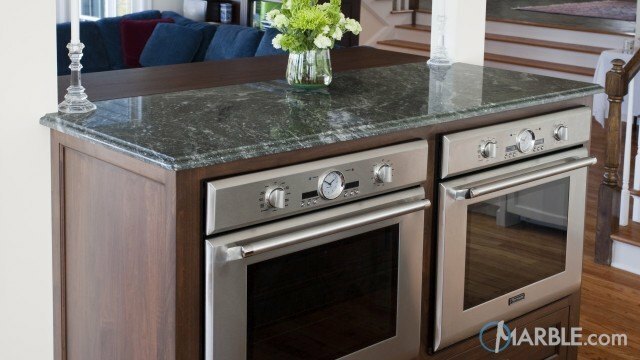 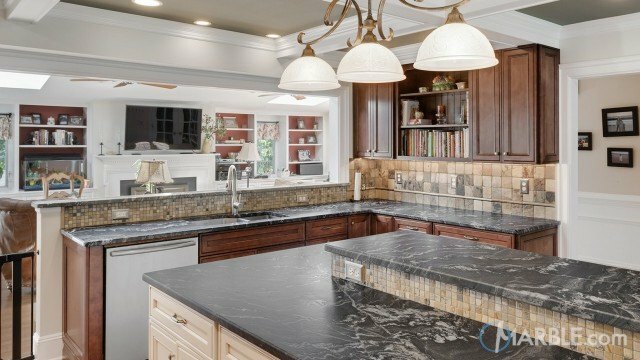 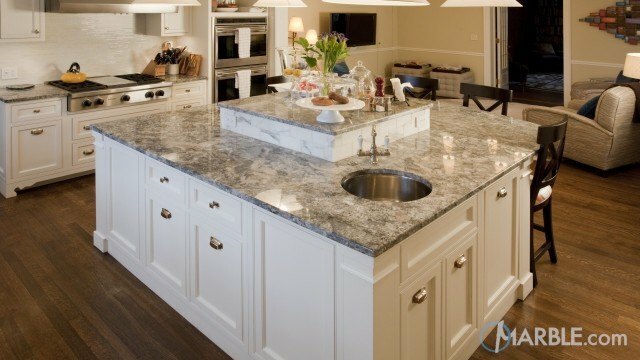 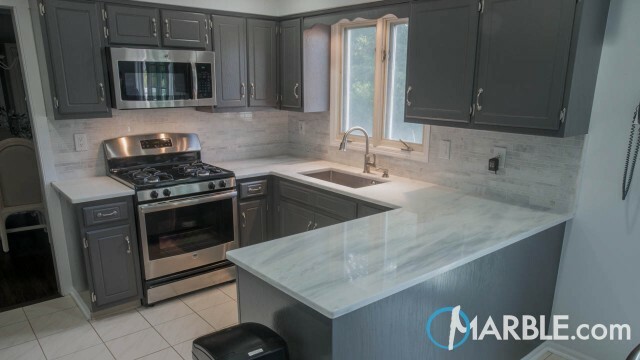 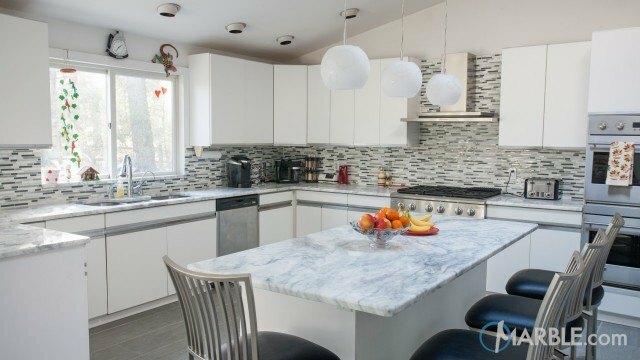 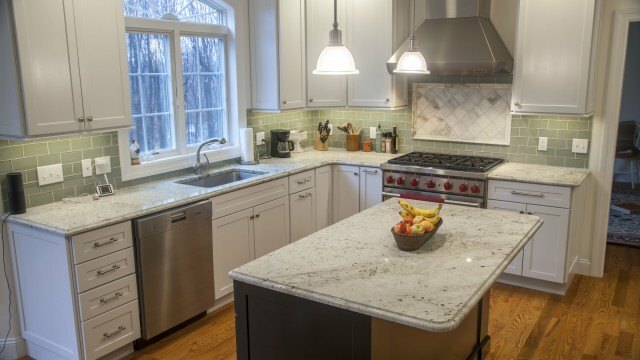 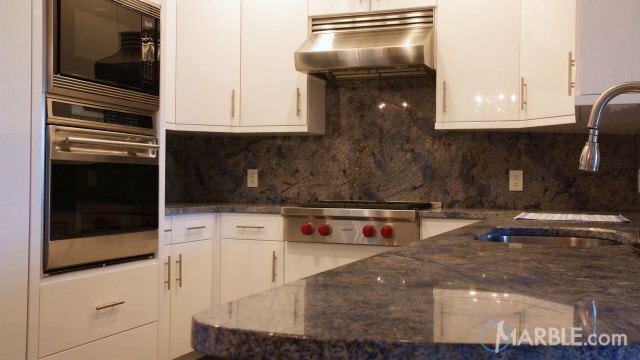 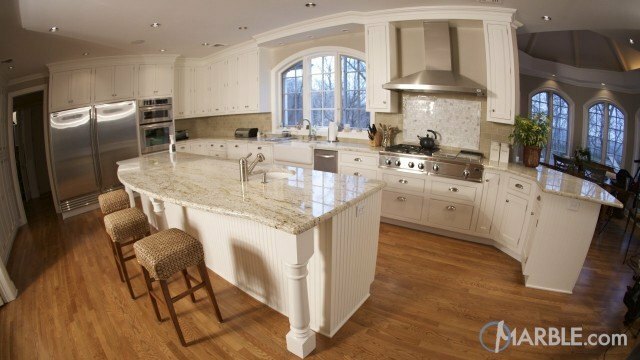 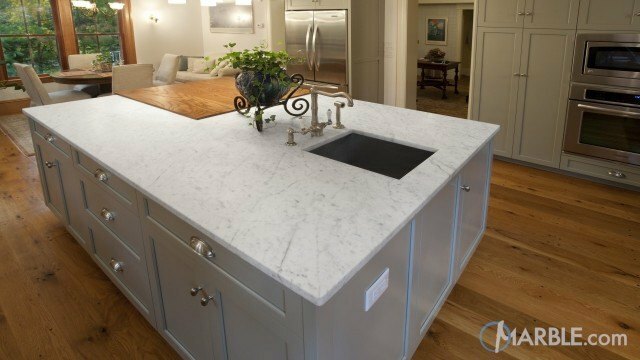 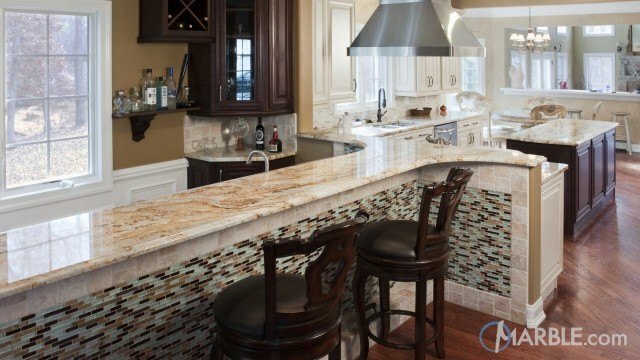 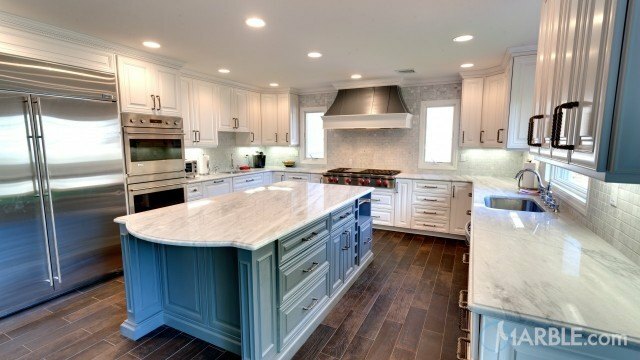 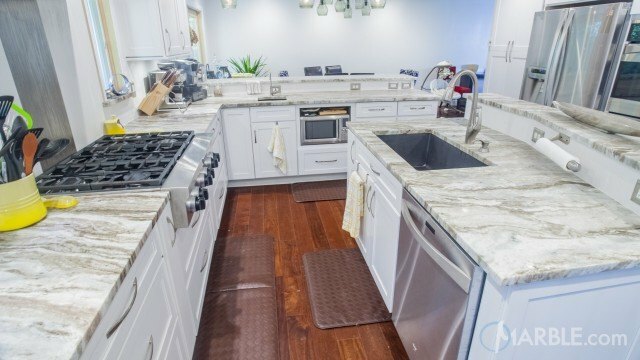 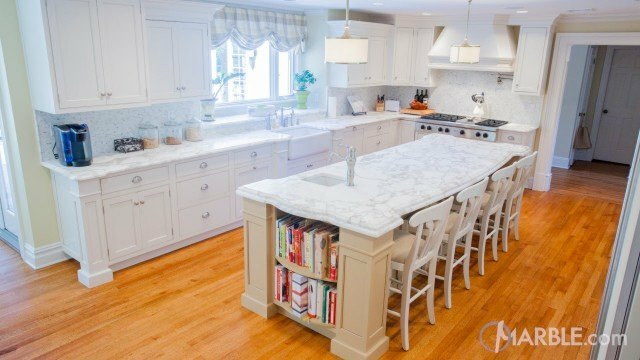 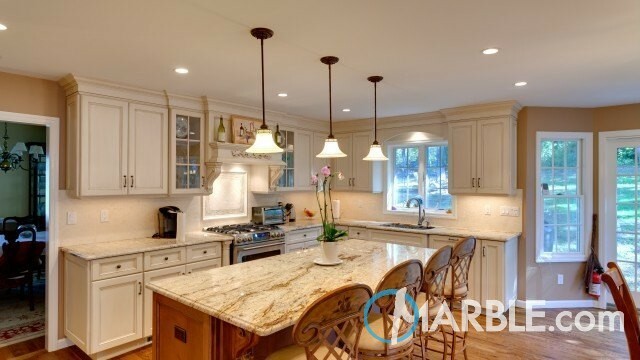 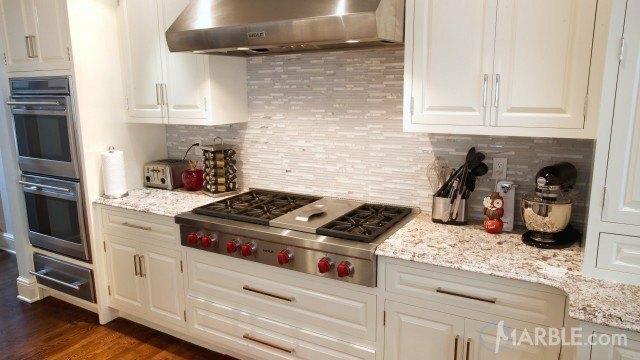 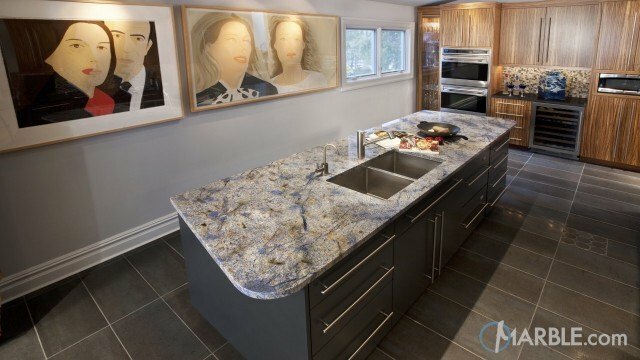 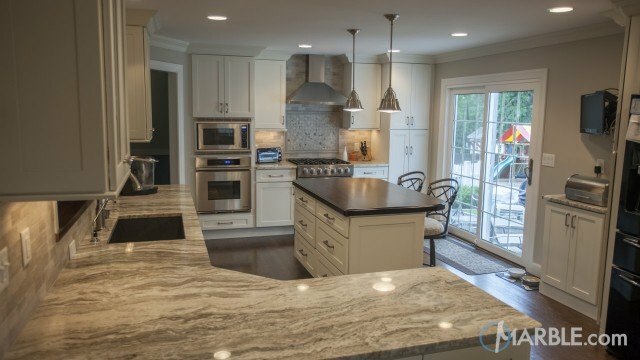 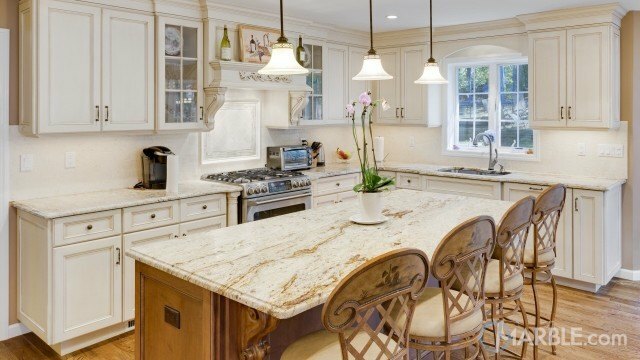 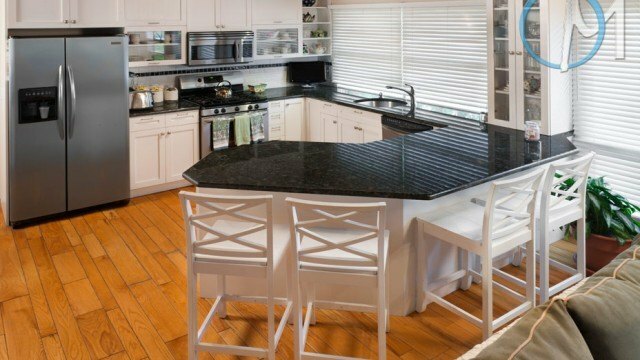 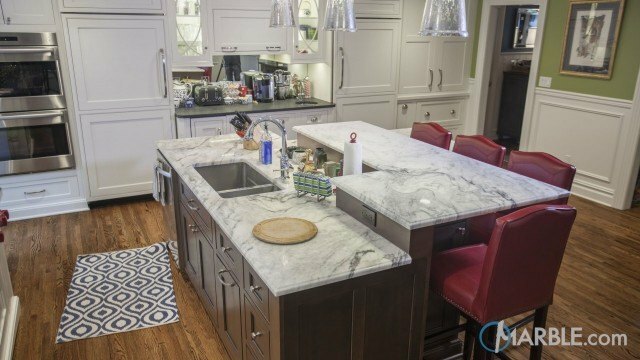 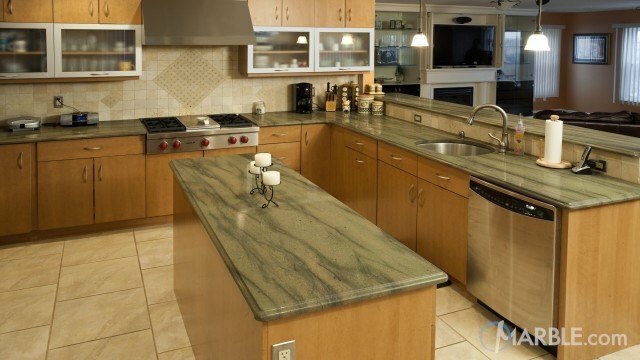 A great material for kitchens to get that marble look but with more durability is quartzite. 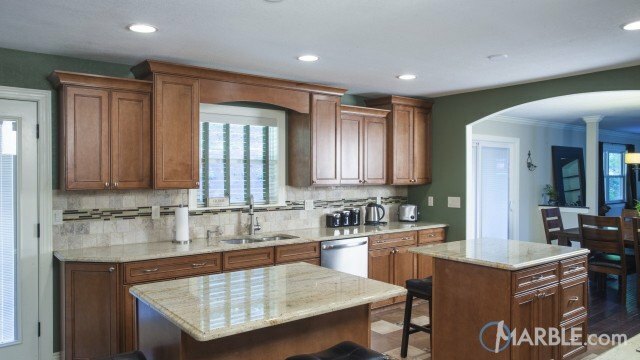 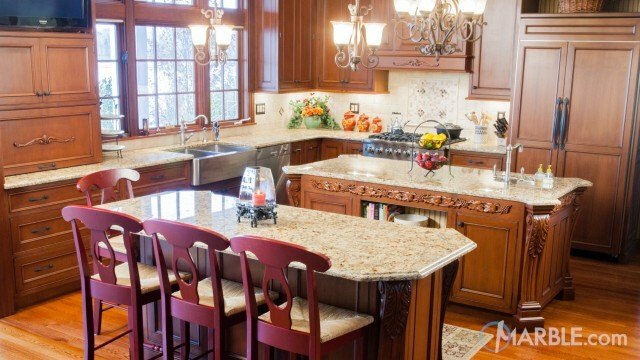 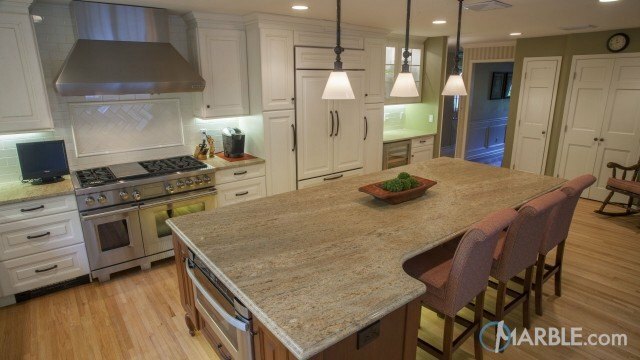 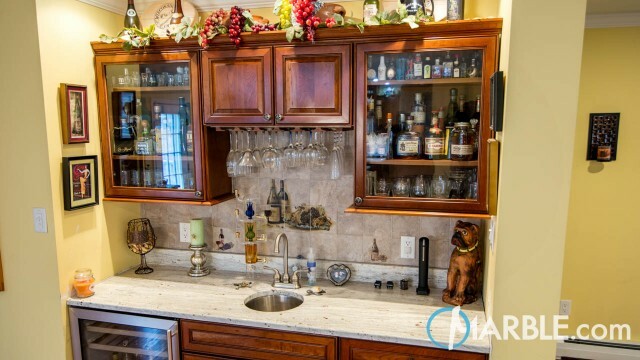 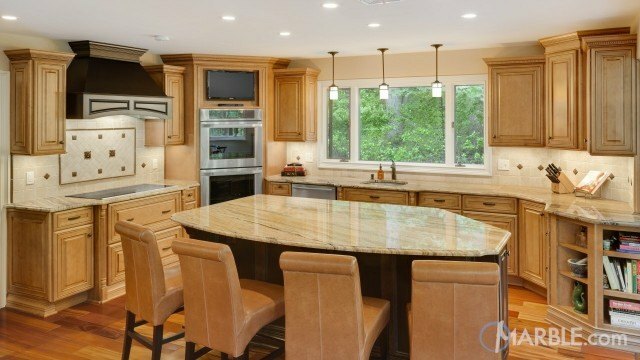 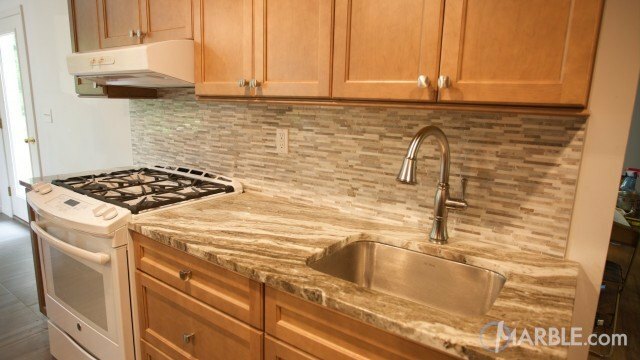 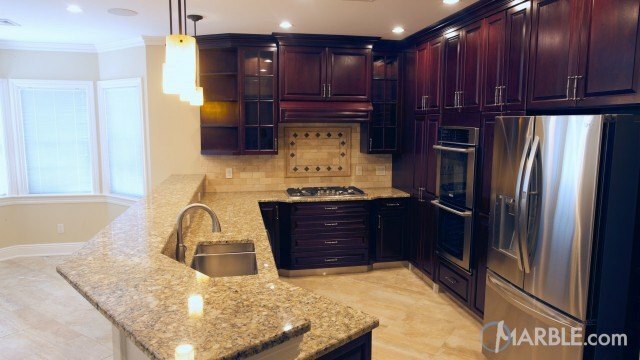 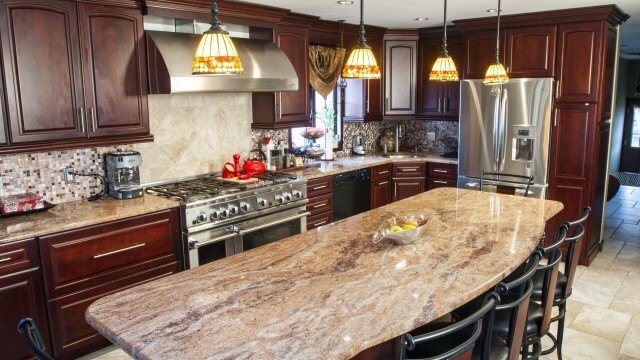 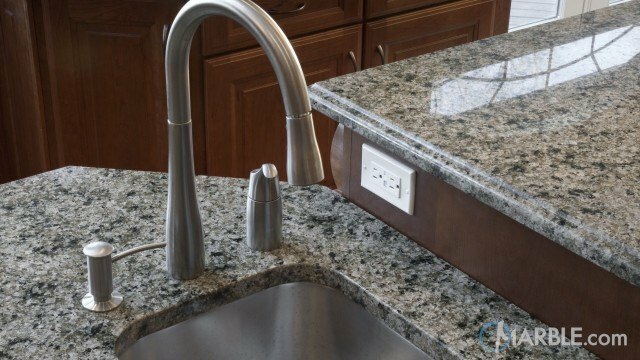 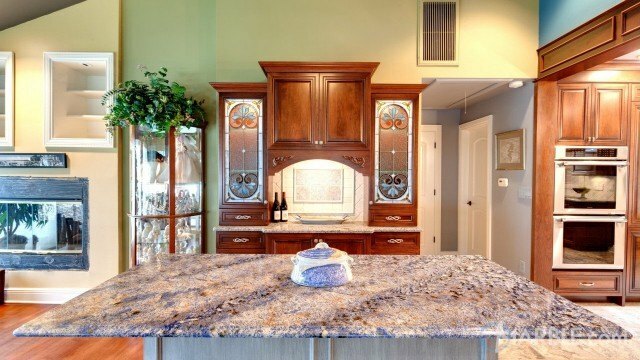 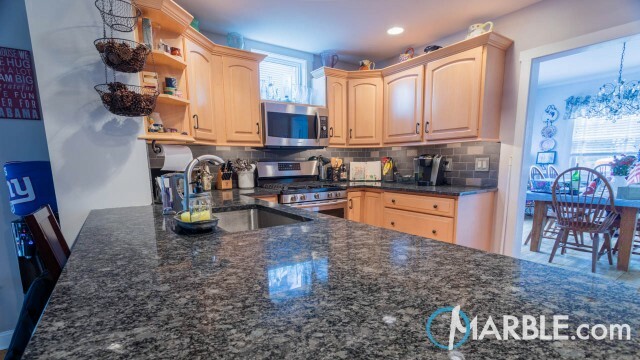 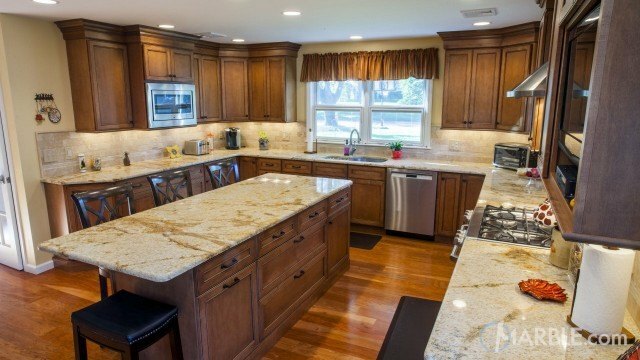 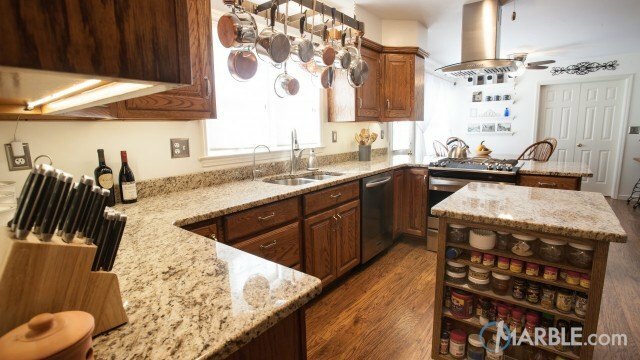 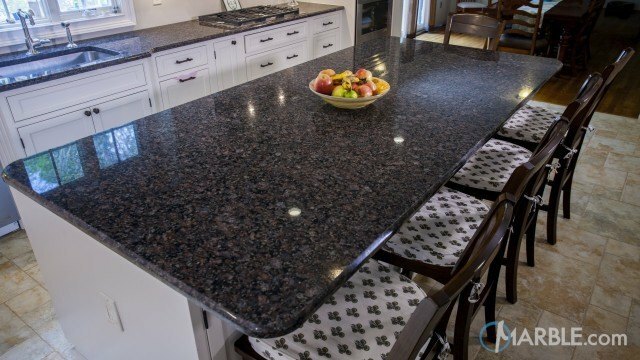 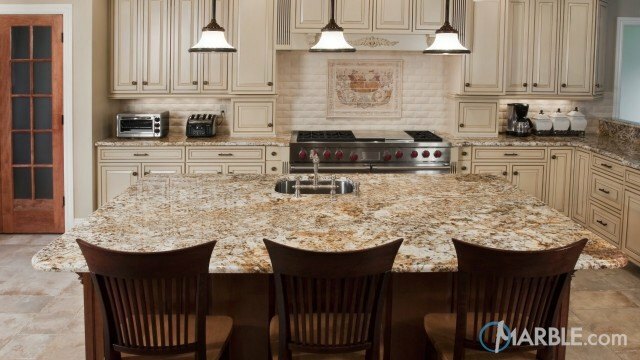 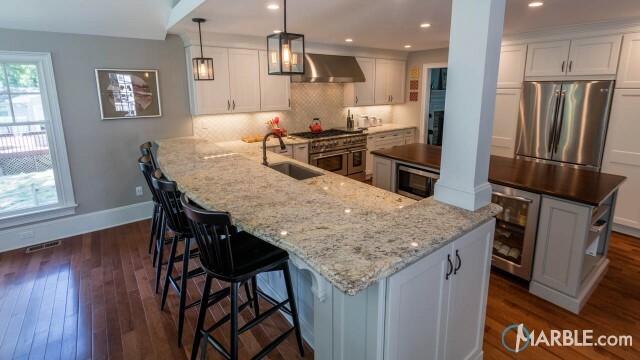 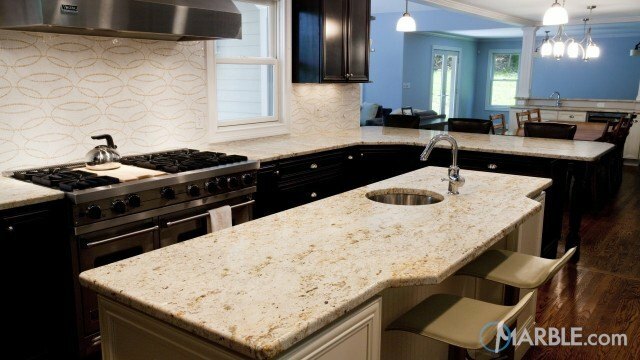 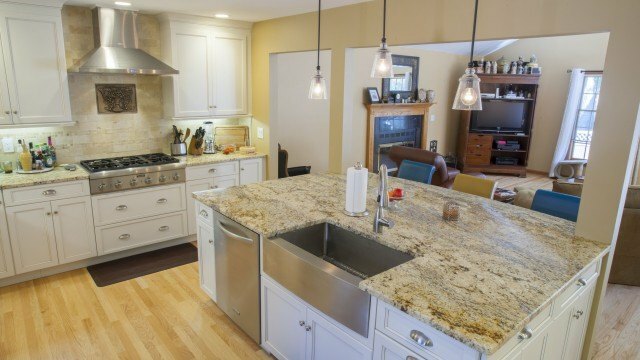 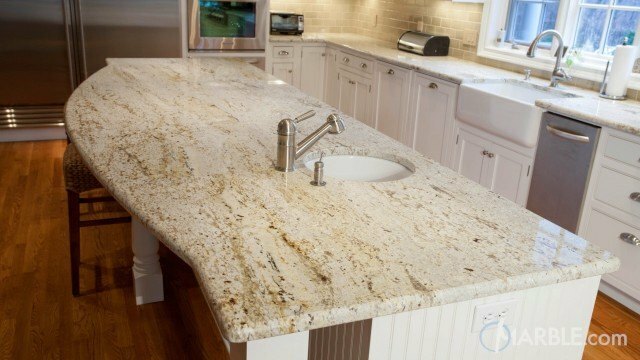 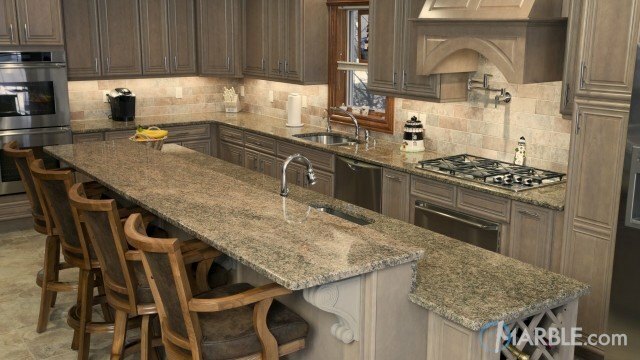 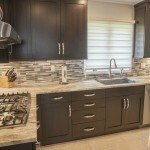 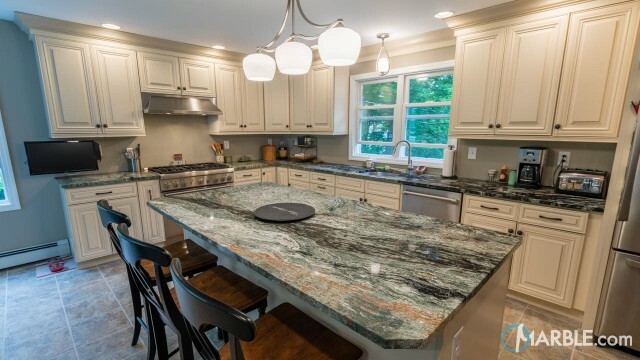 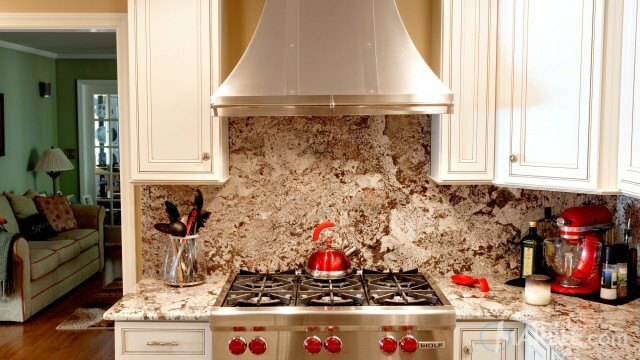 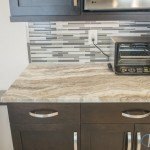 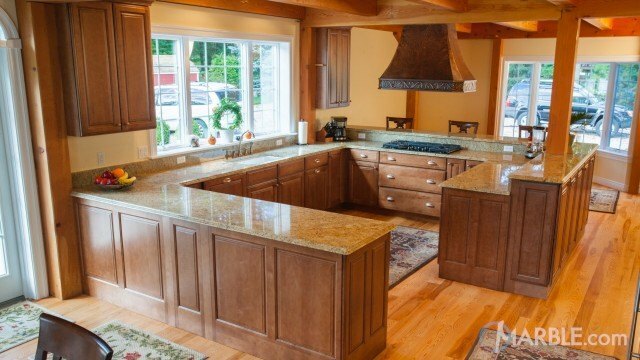 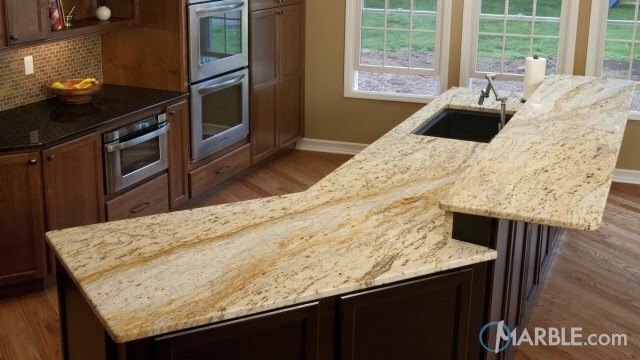 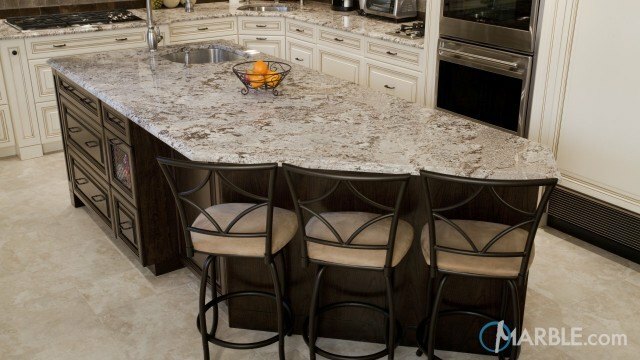 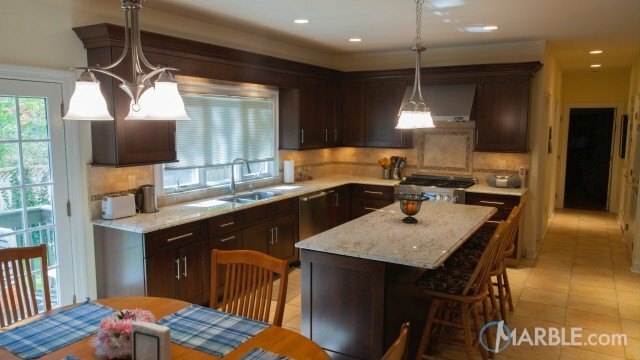 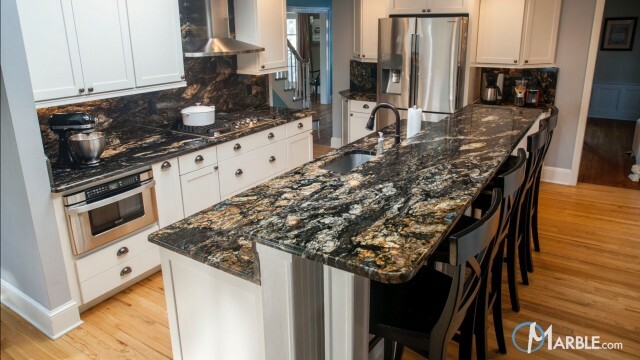 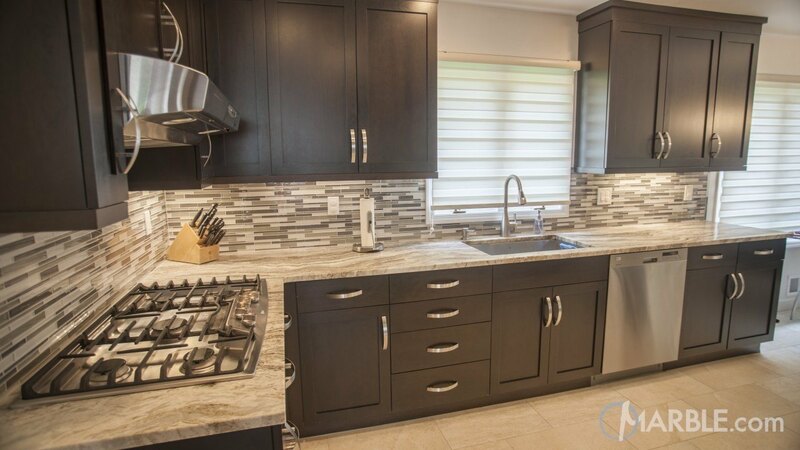 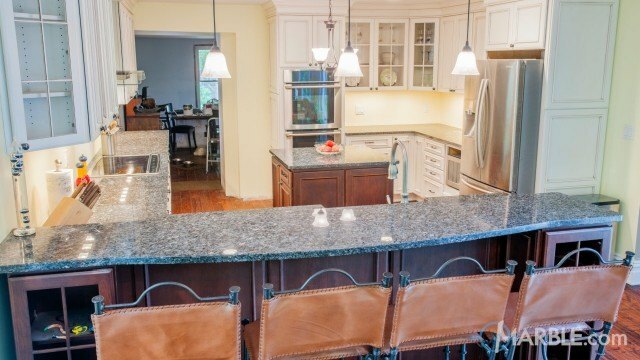 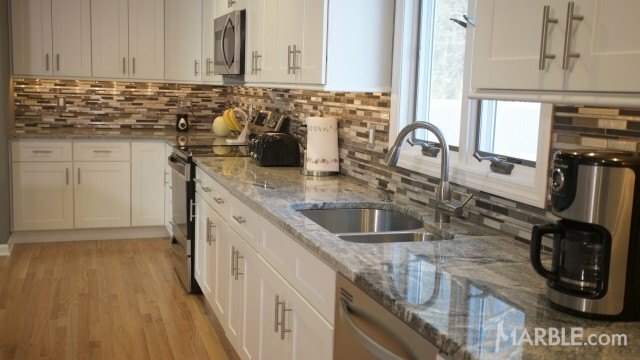 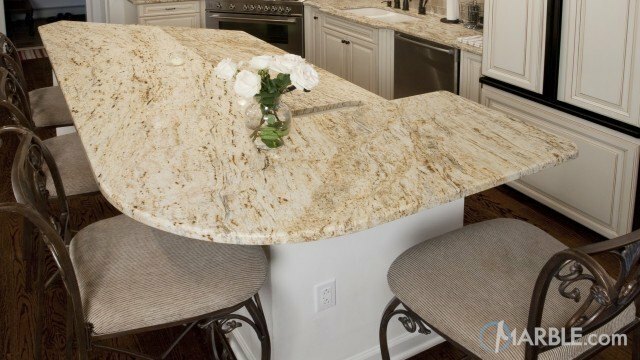 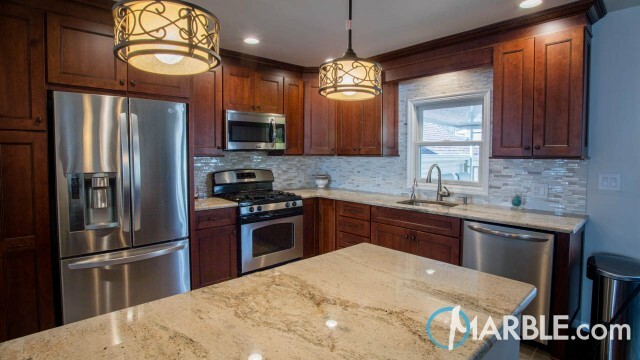 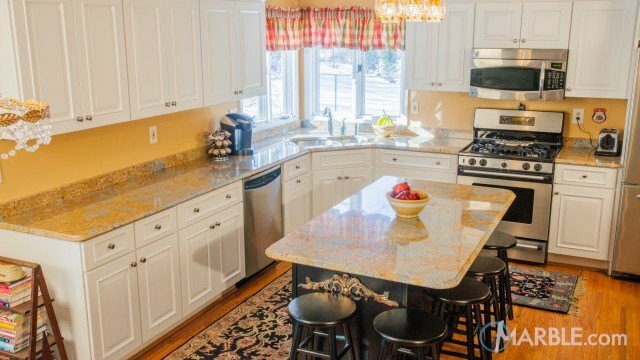 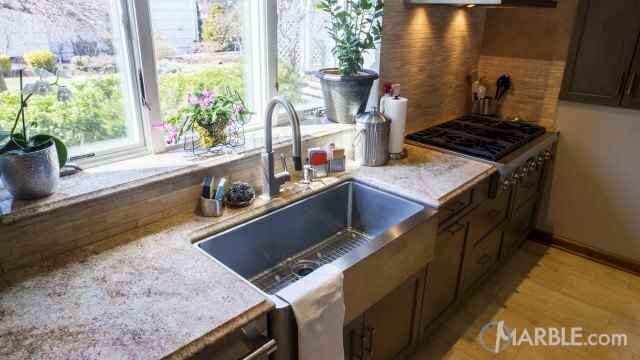 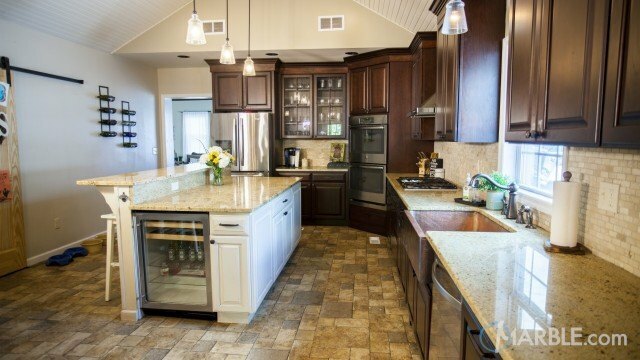 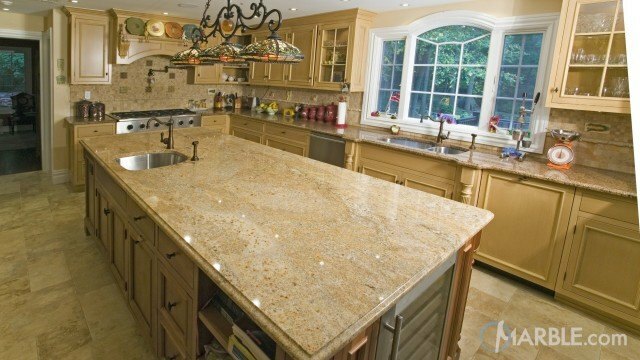 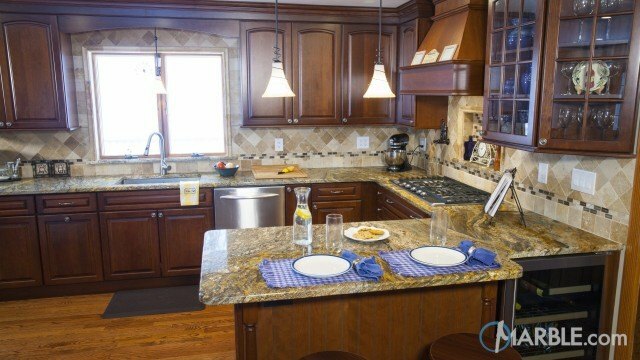 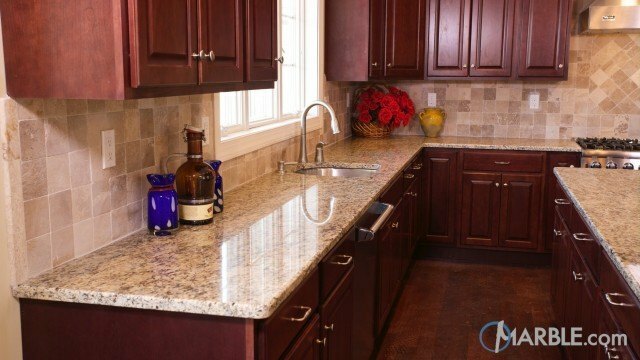 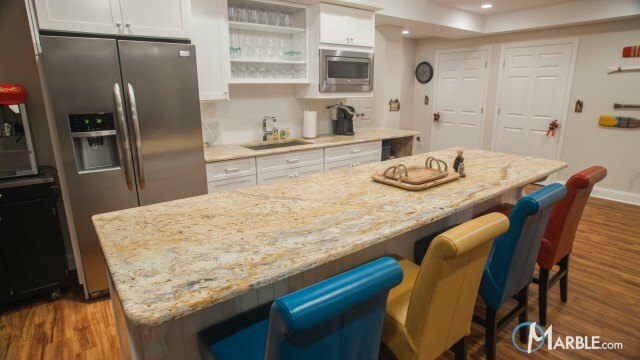 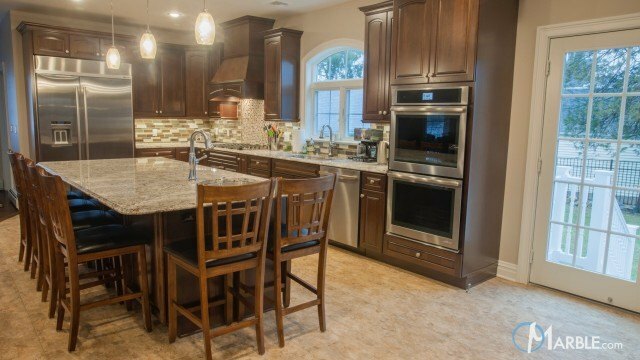 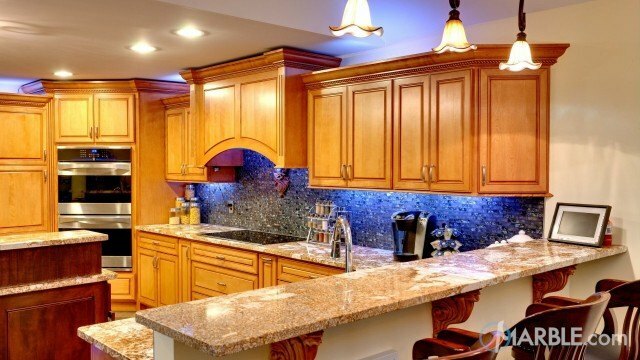 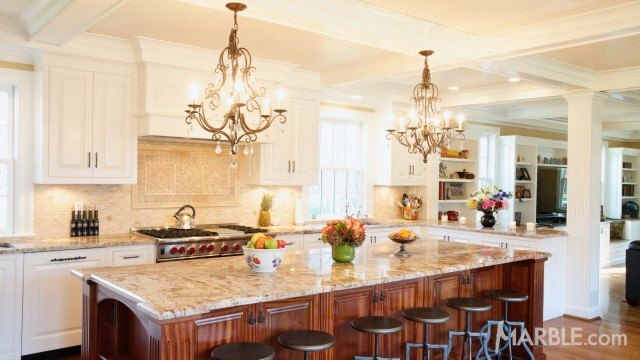 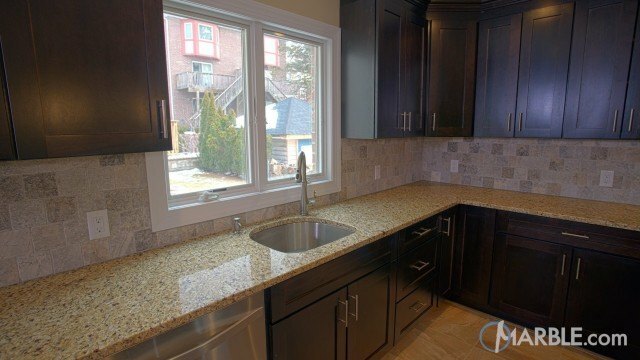 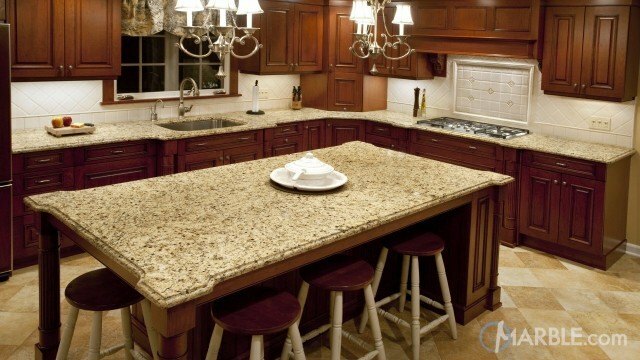 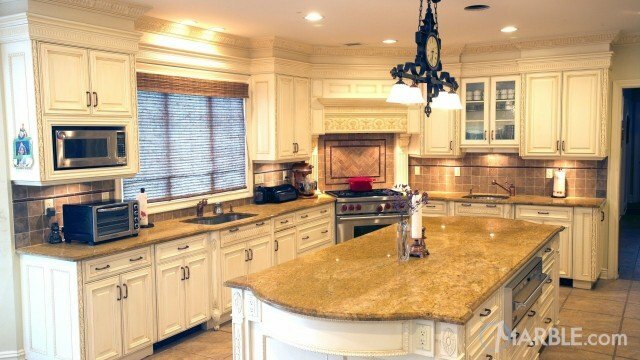 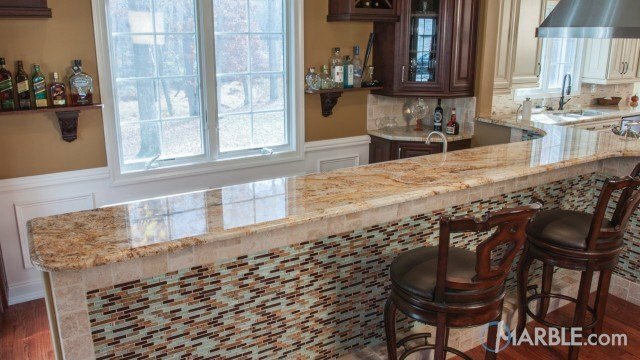 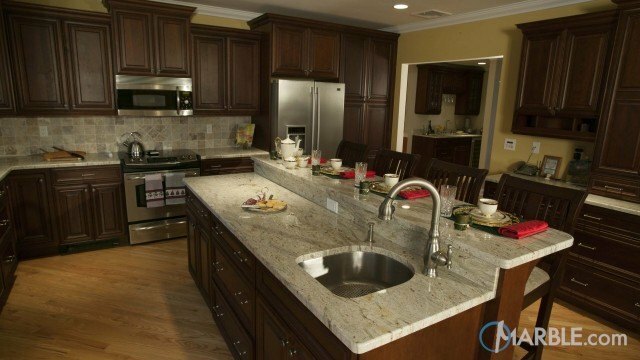 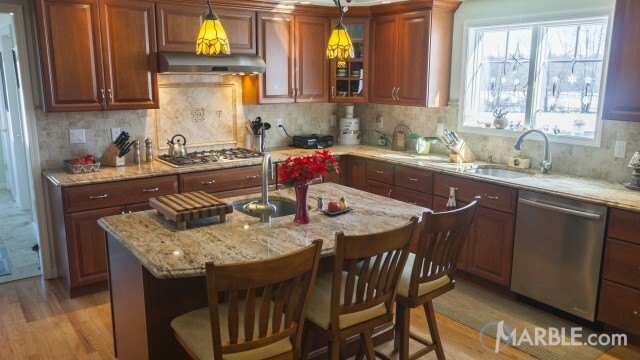 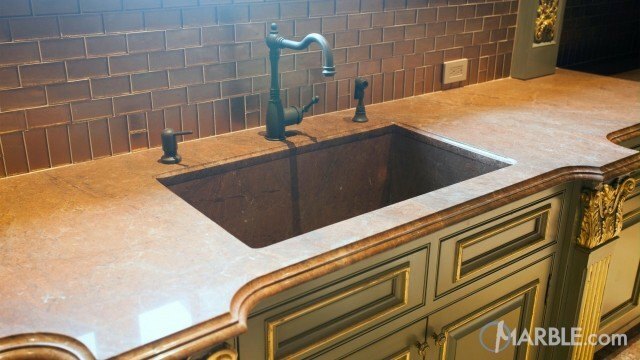 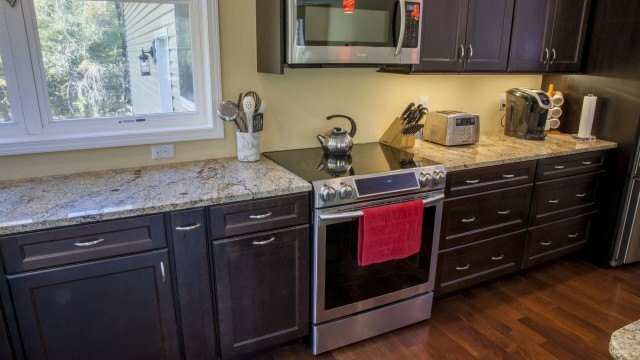 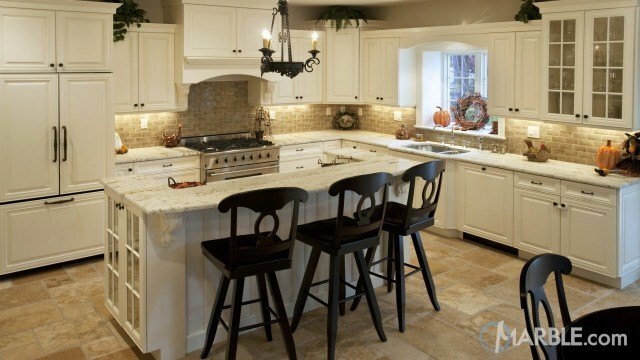 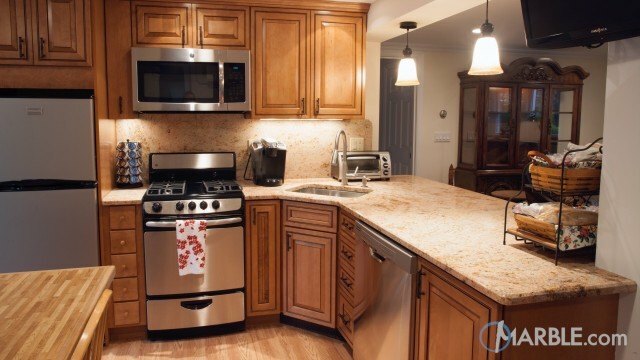 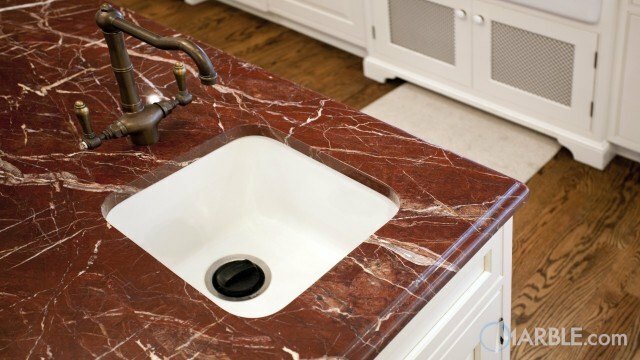 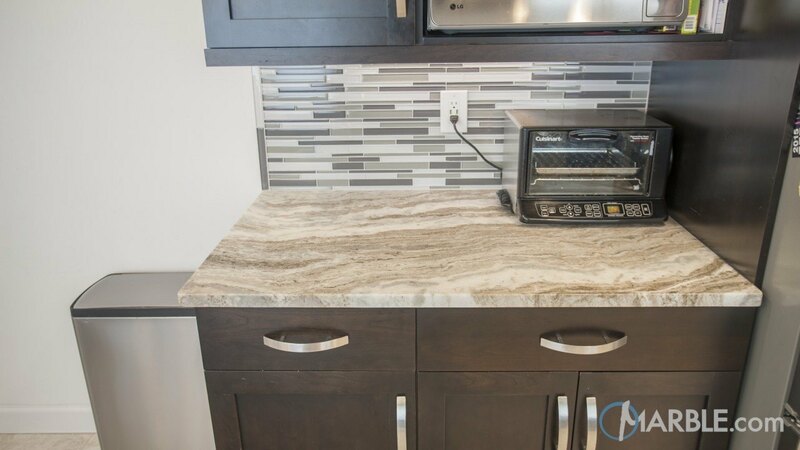 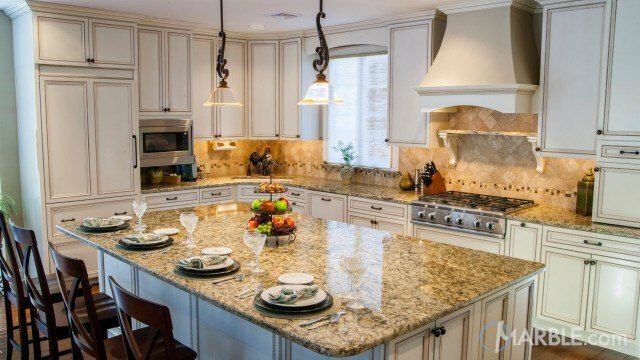 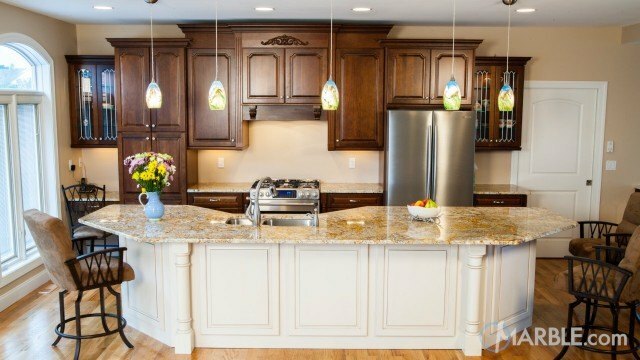 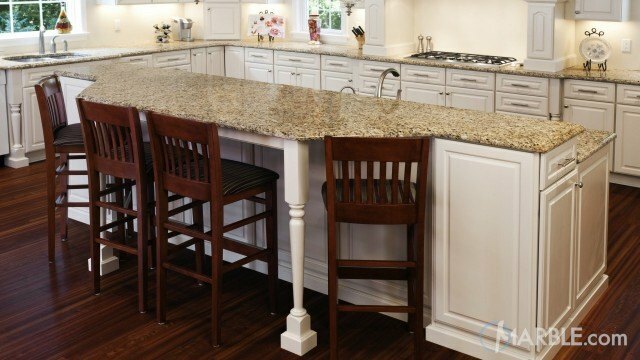 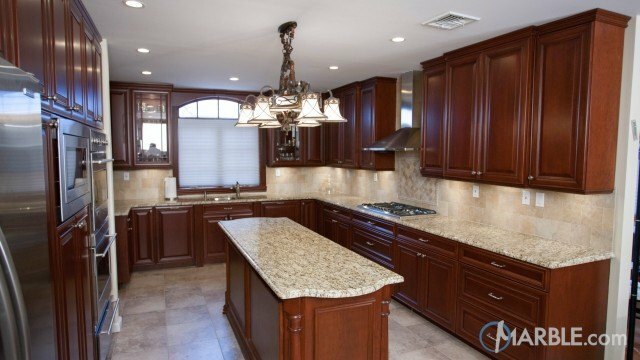 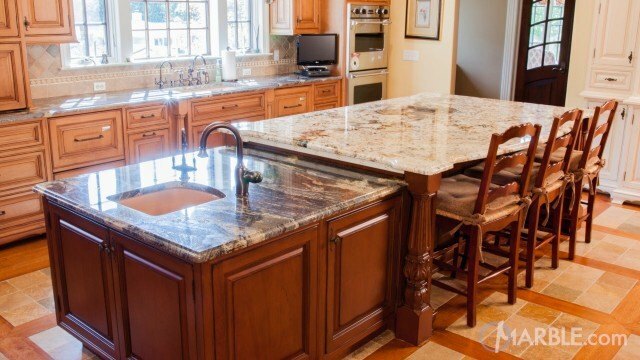 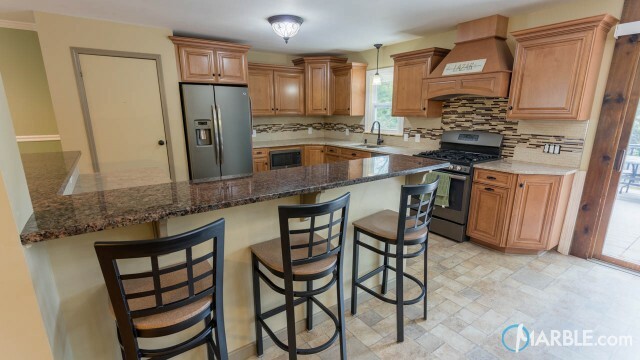 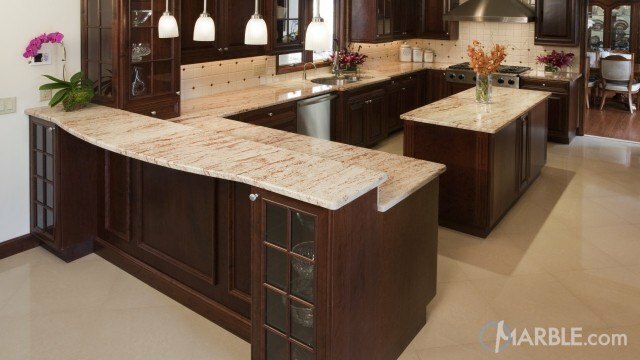 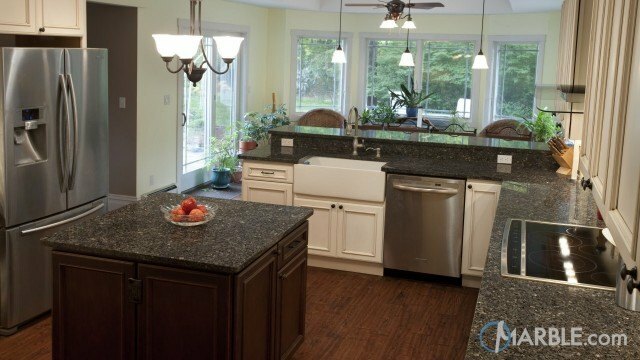 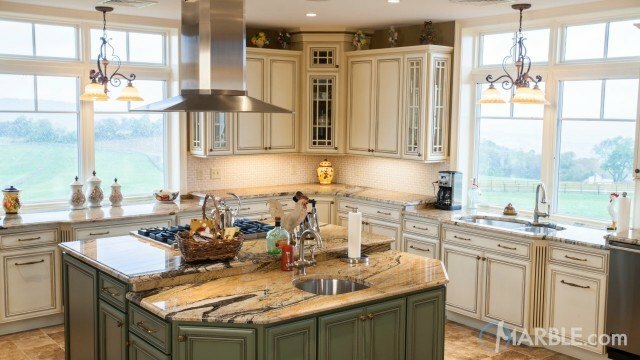 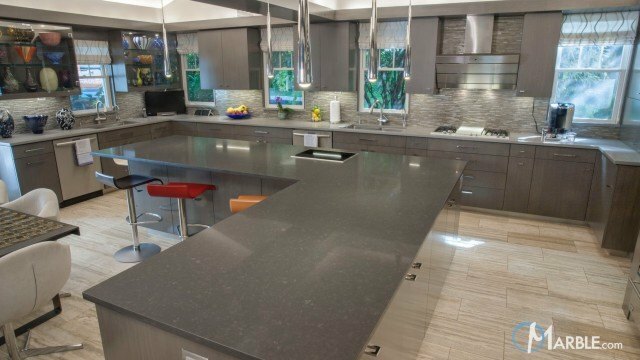 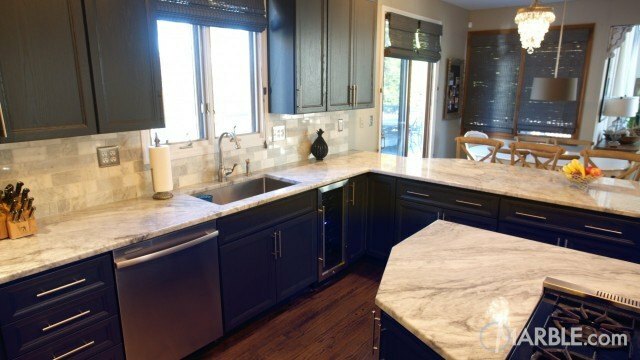 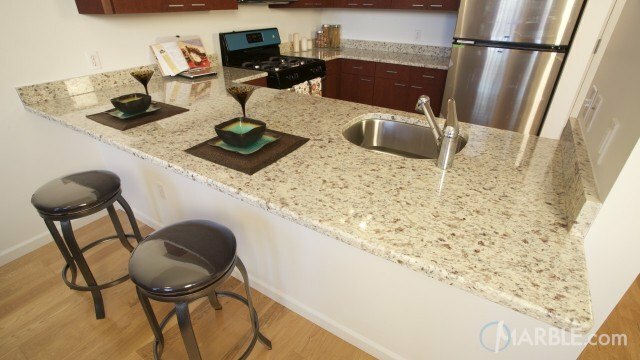 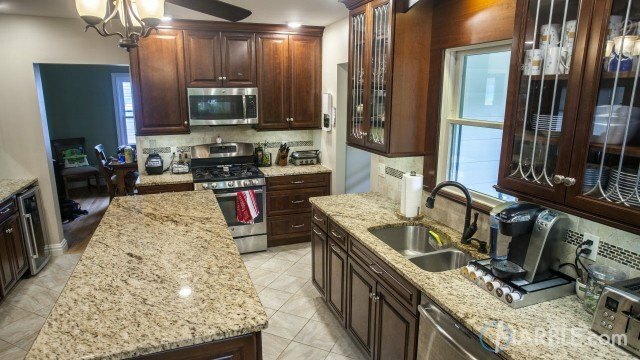 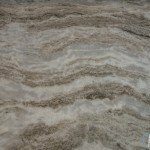 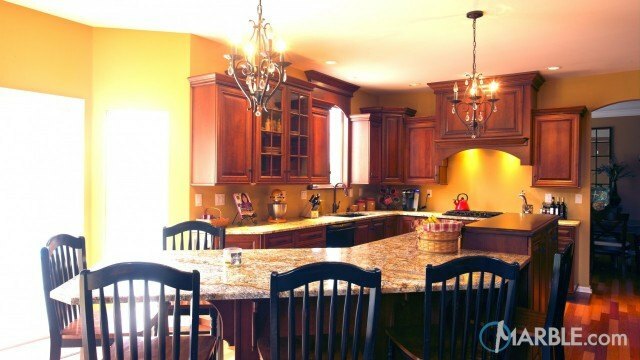 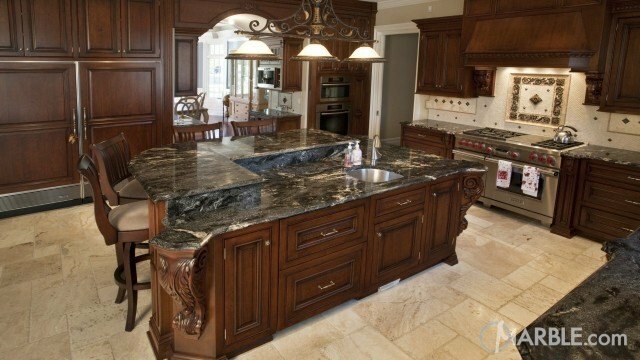 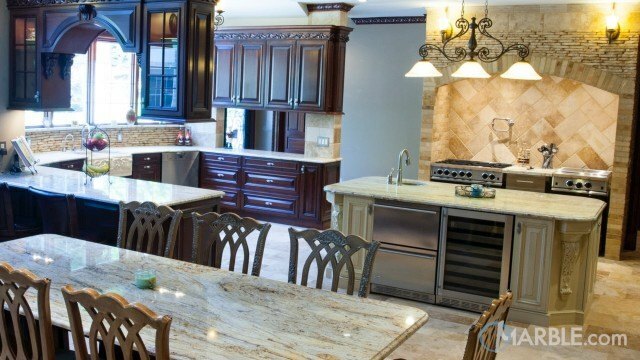 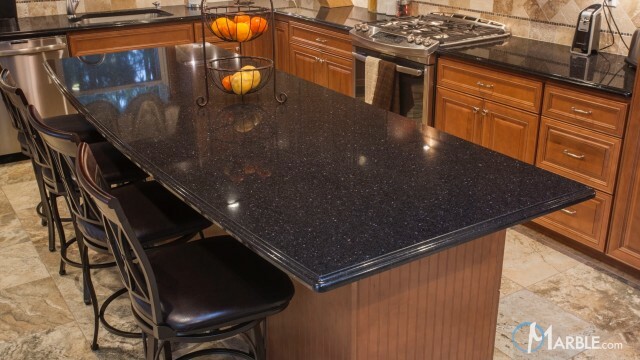 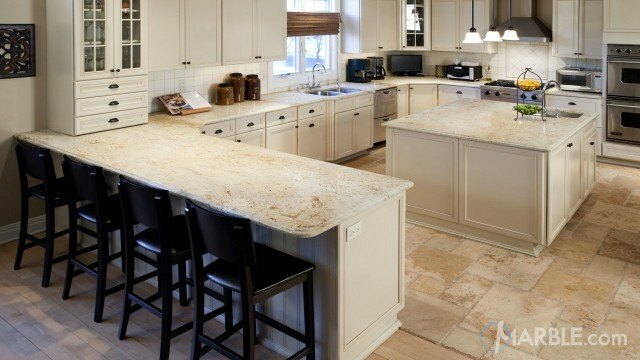 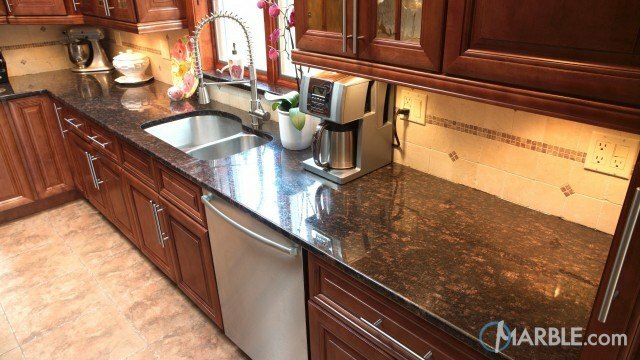 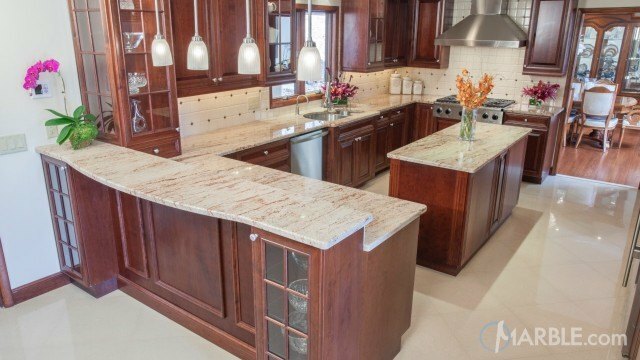 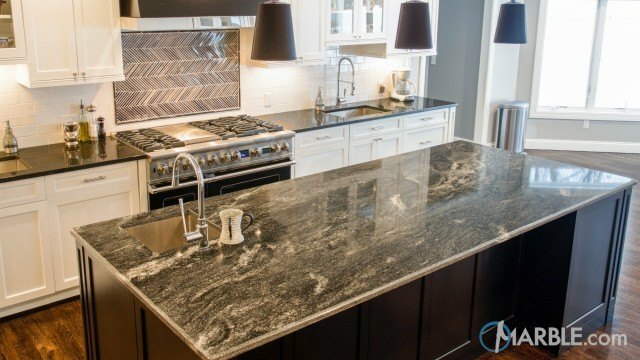 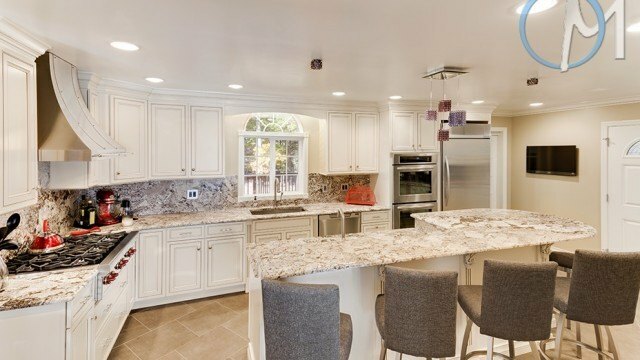 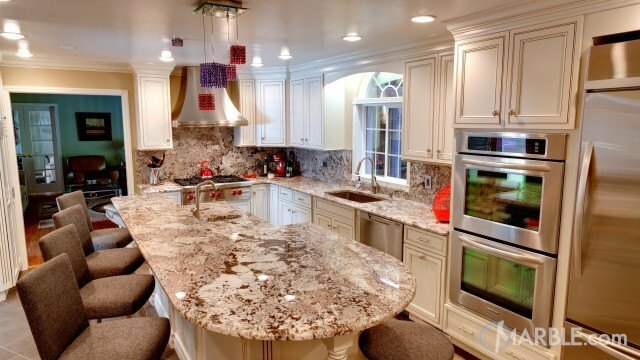 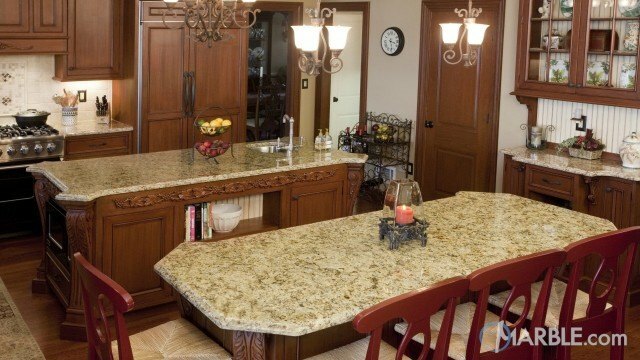 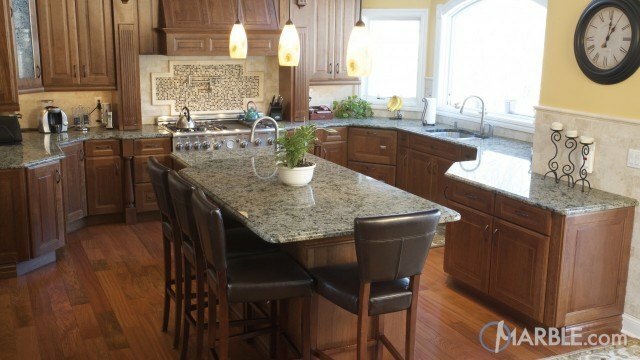 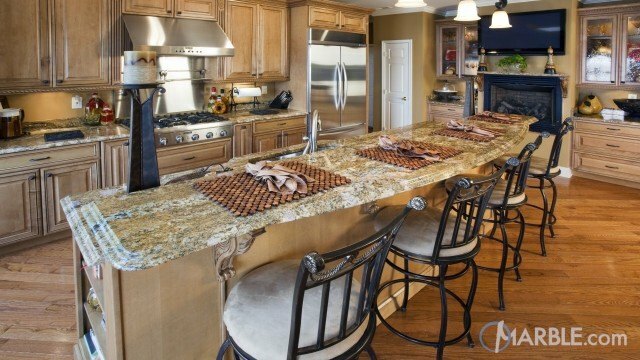 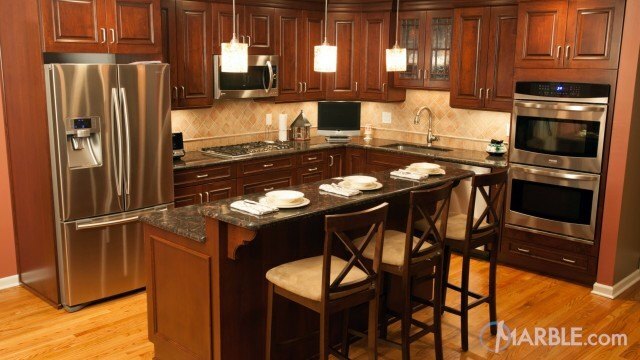 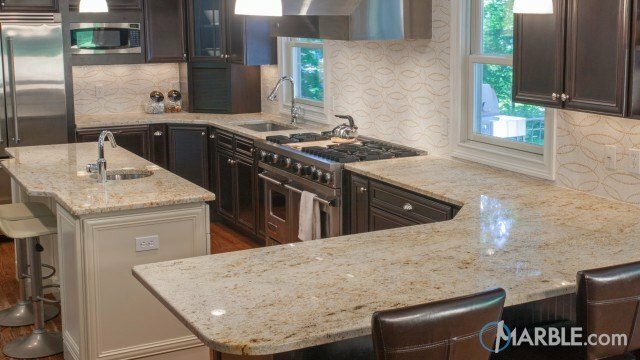 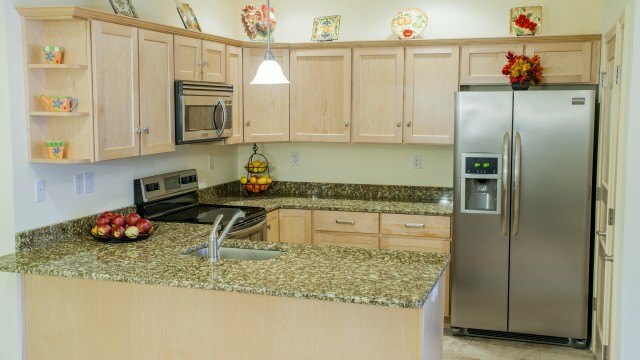 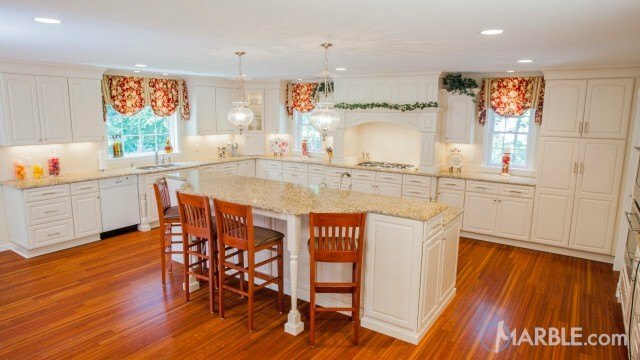 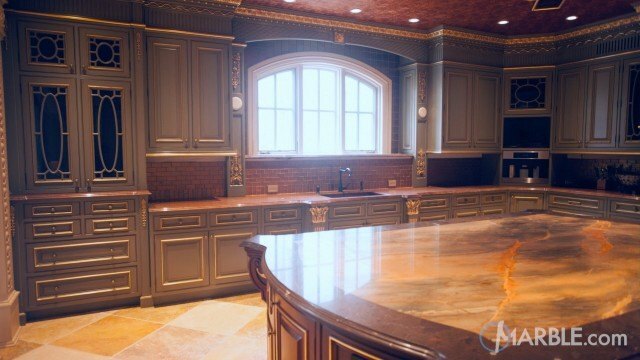 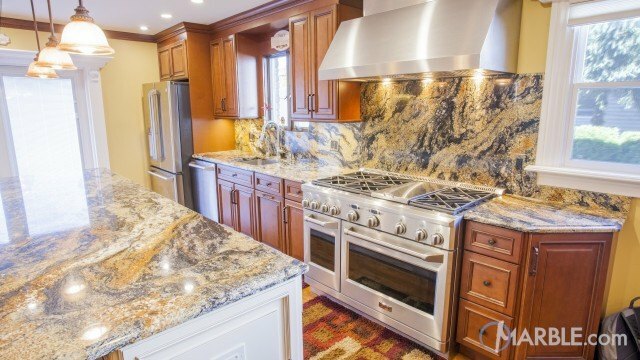 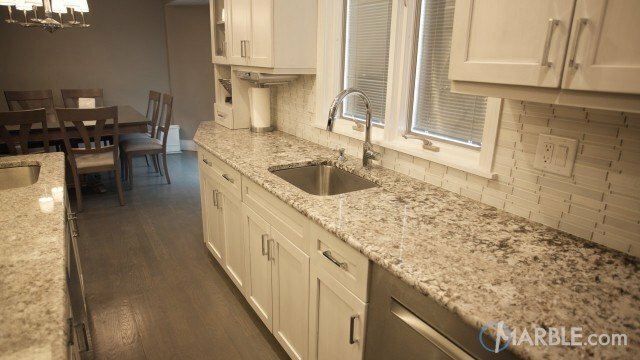 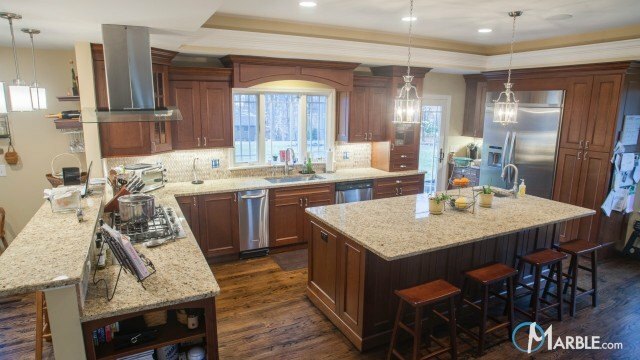 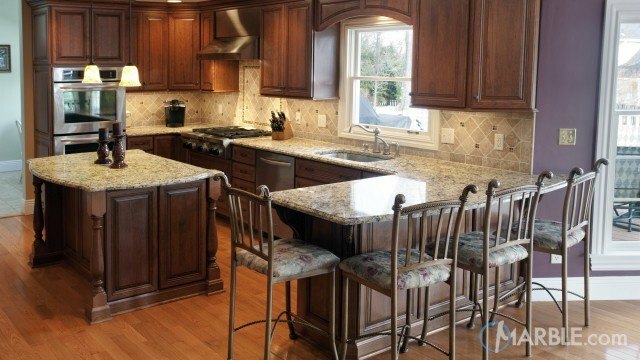 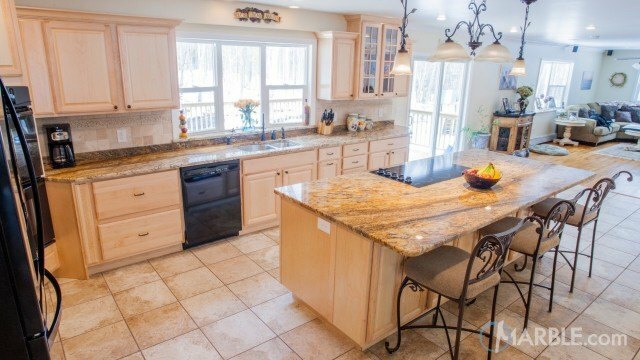 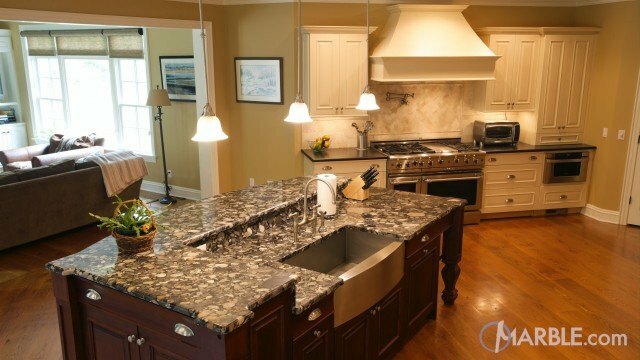 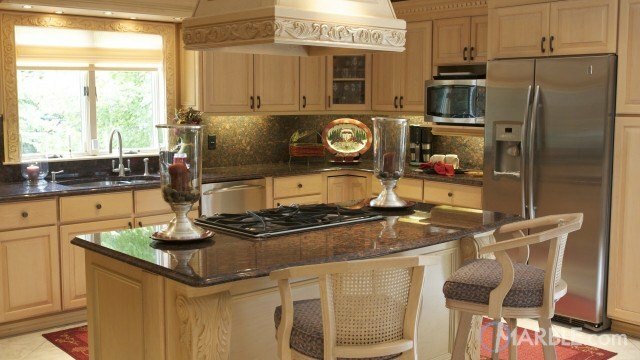 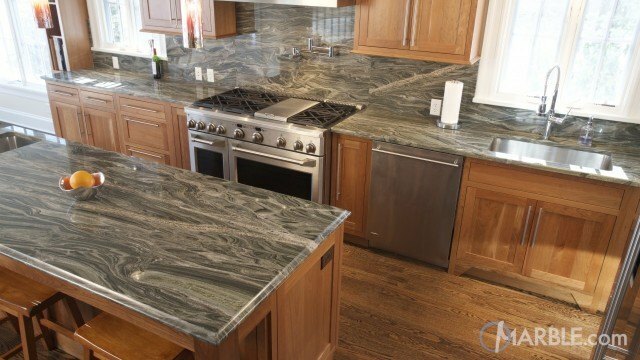 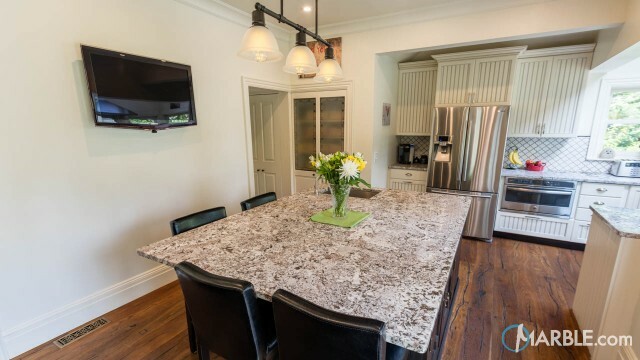 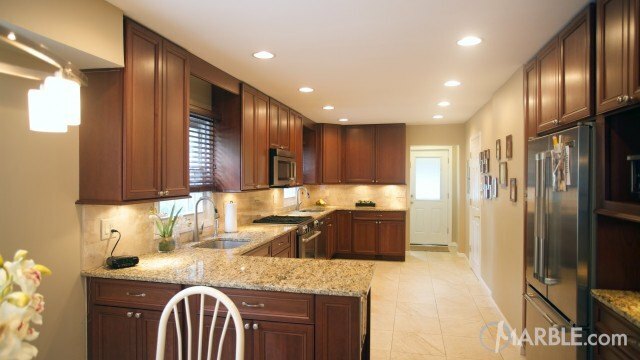 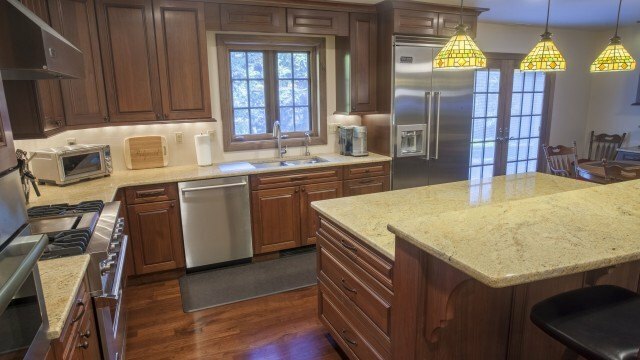 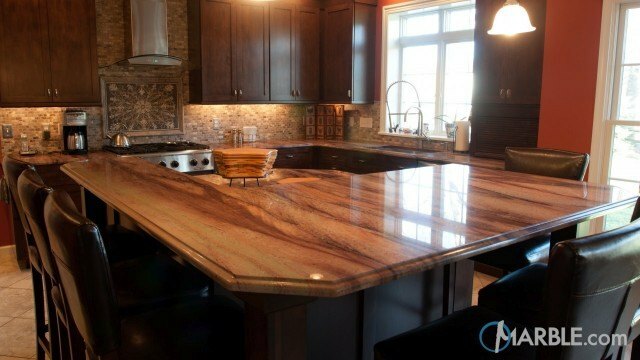 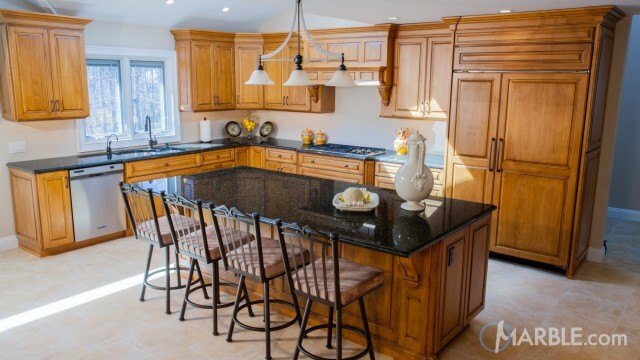 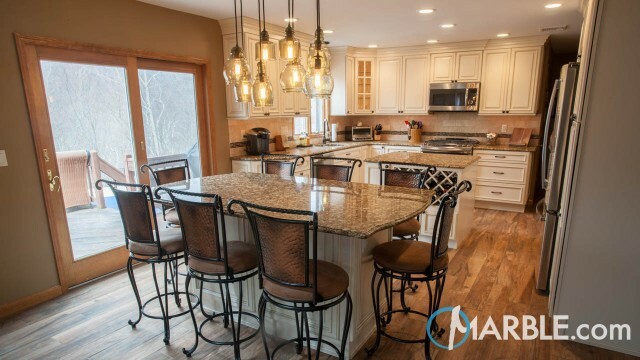 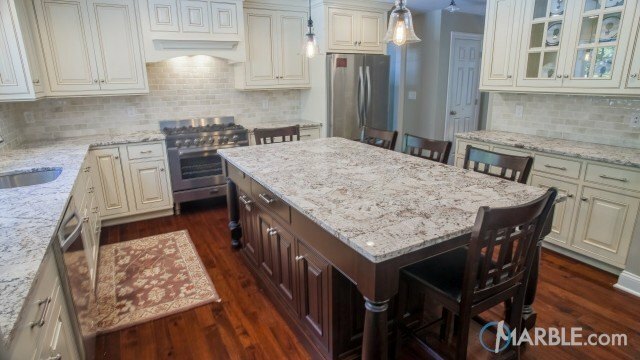 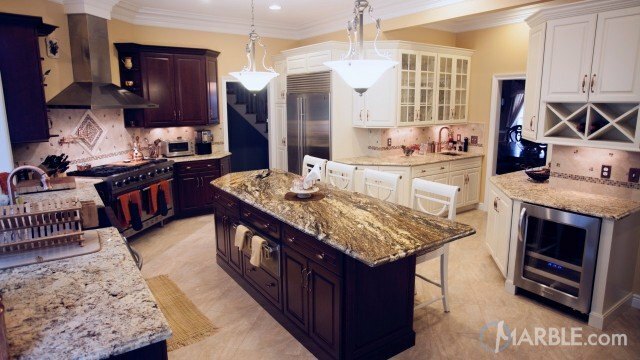 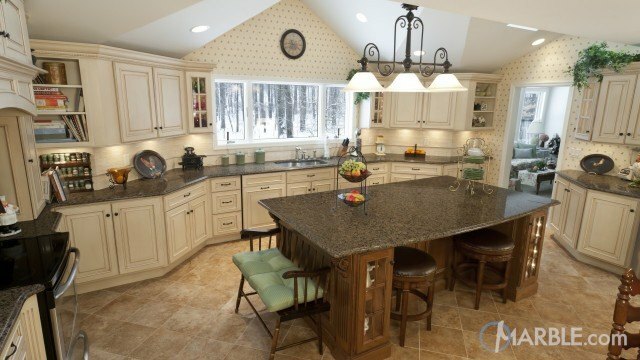 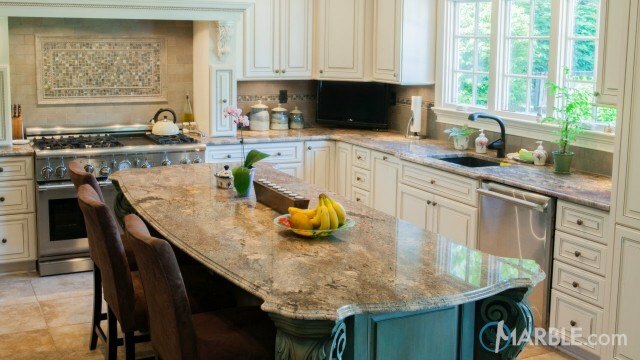 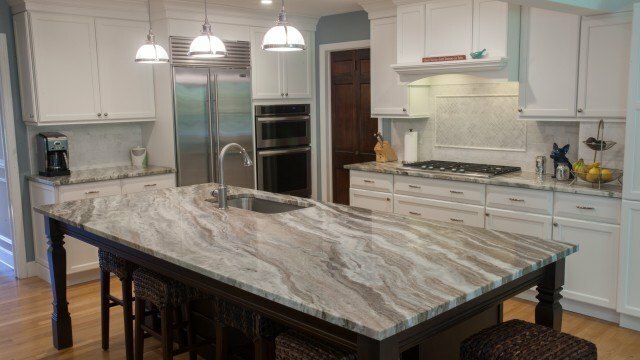 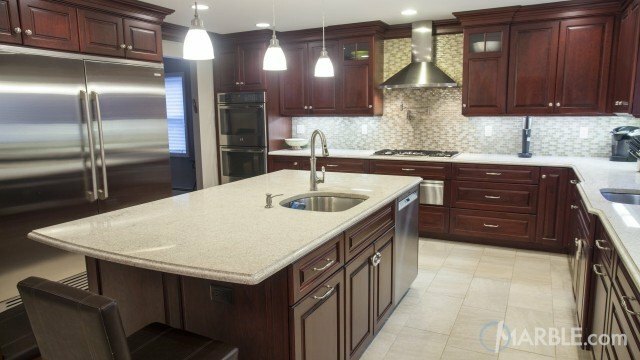 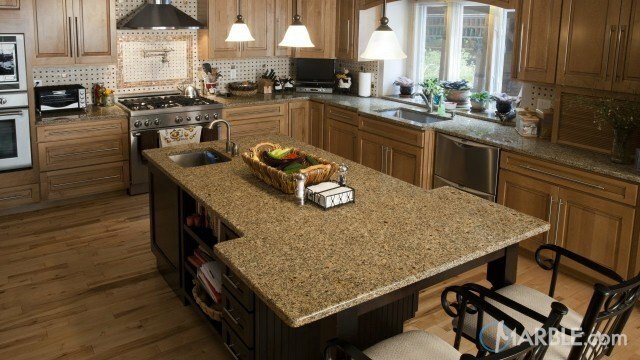 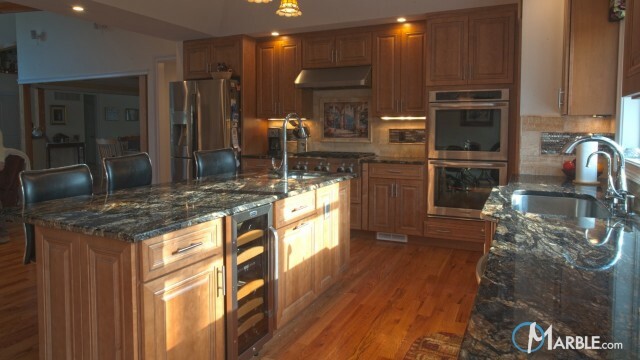 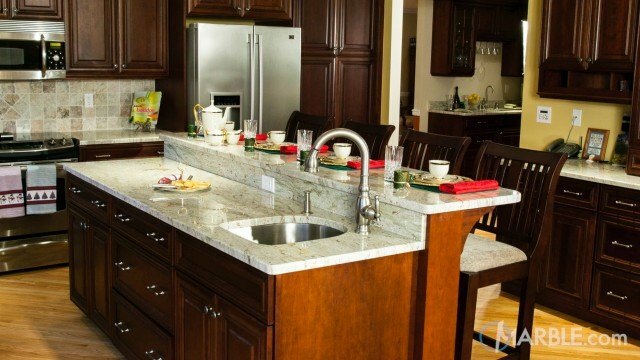 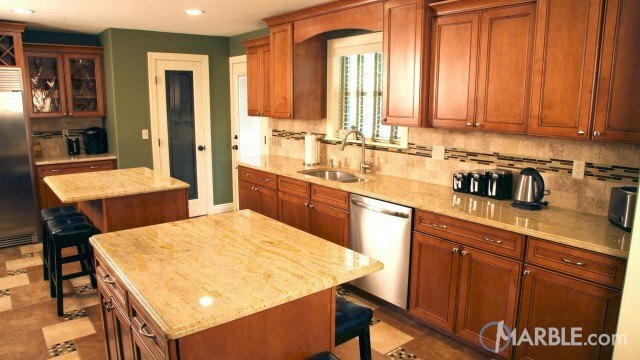 Fantasy Brown Quartzite is one of our most popular counter top materials. 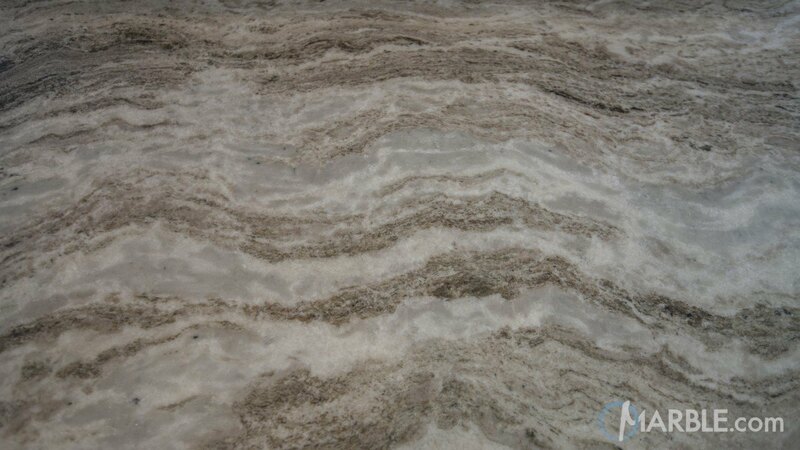 The brown and grey veins flow nicely over a white base material. 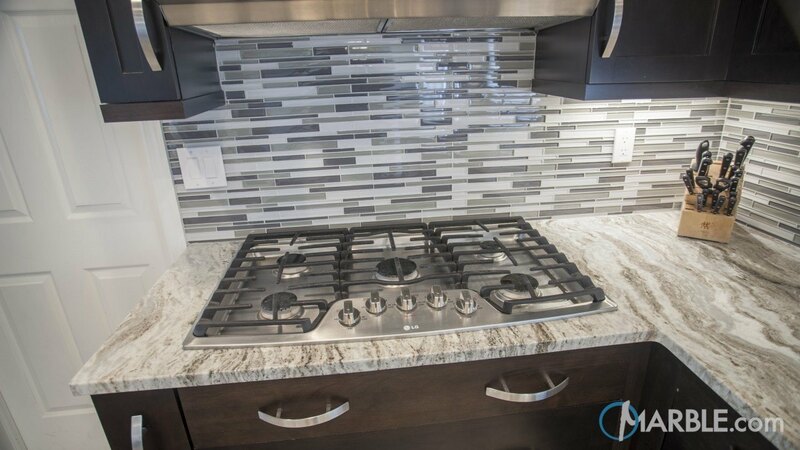 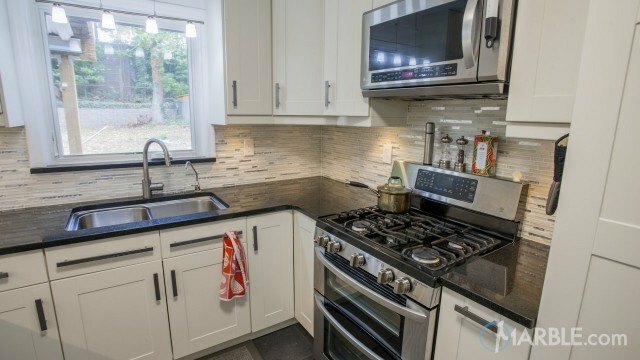 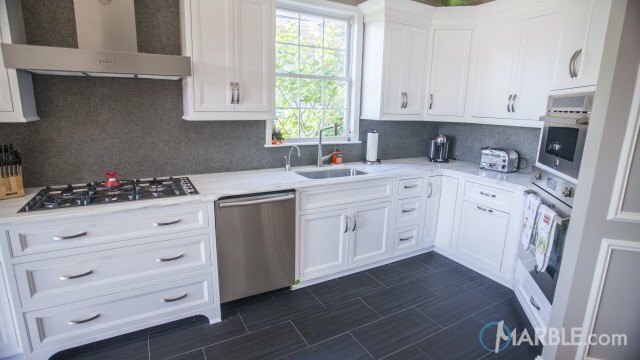 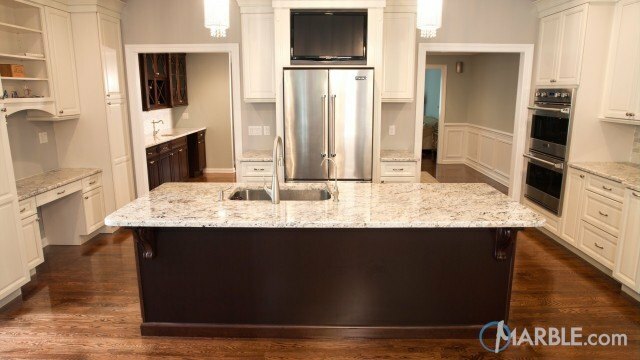 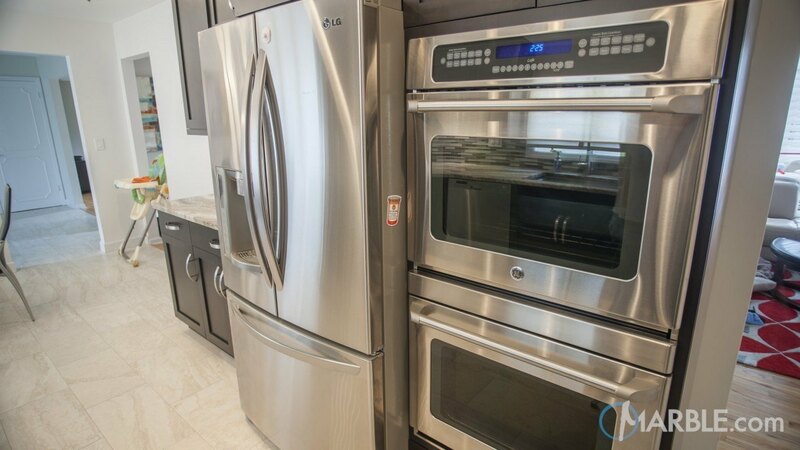 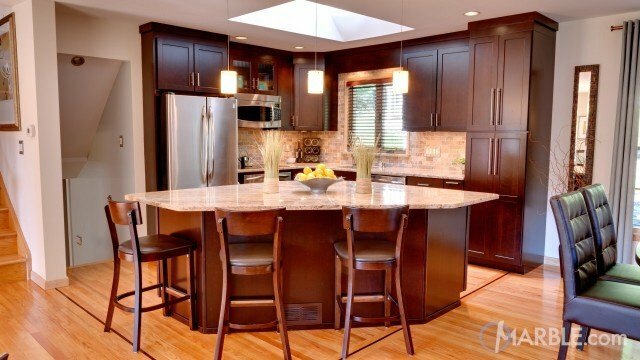 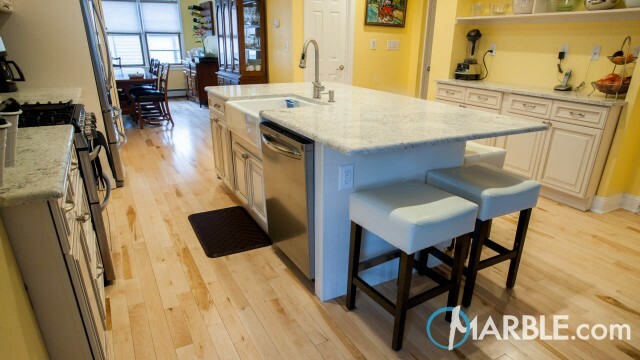 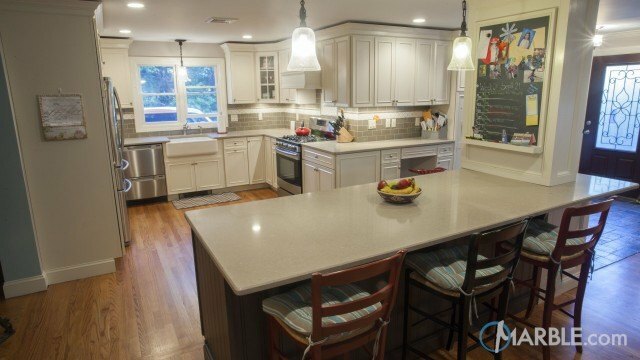 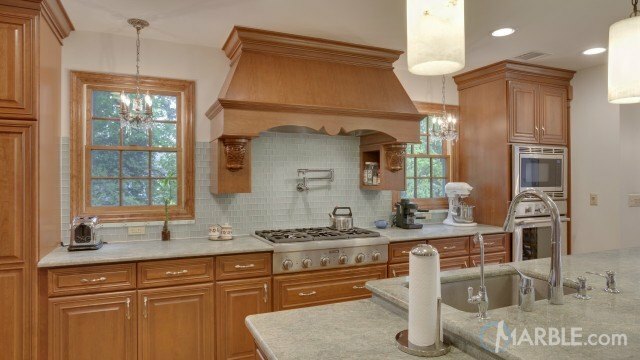 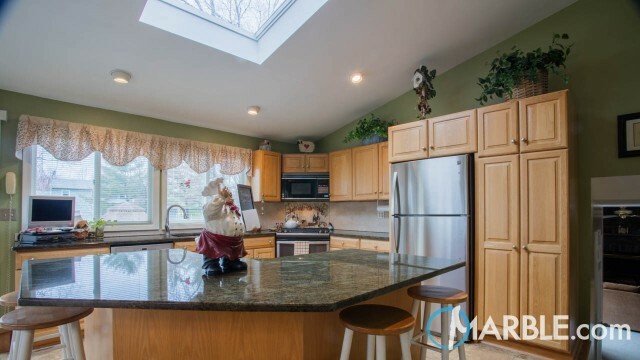 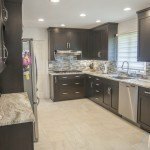 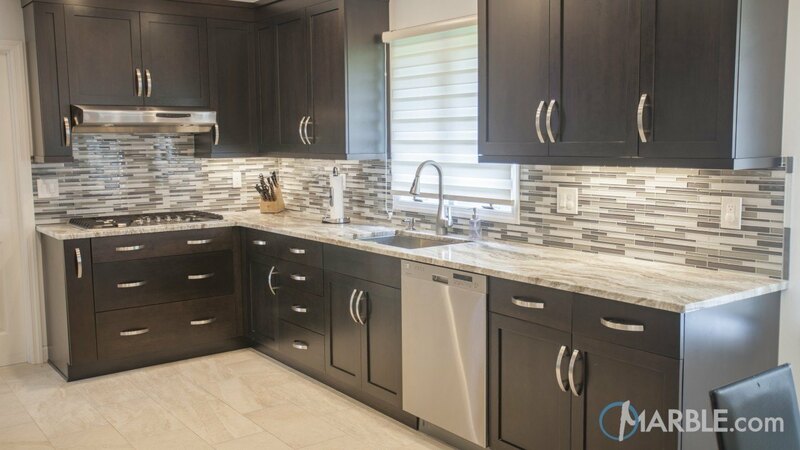 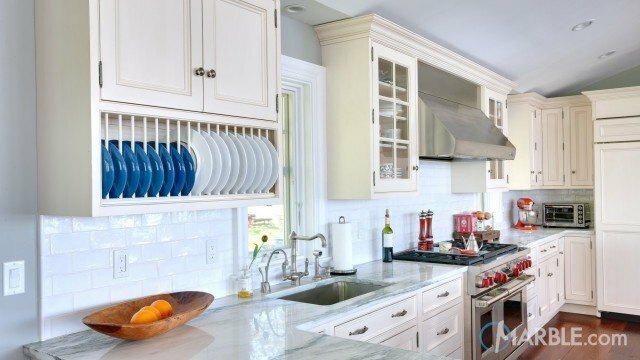 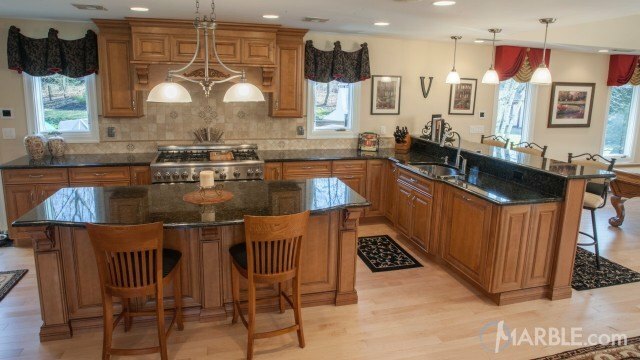 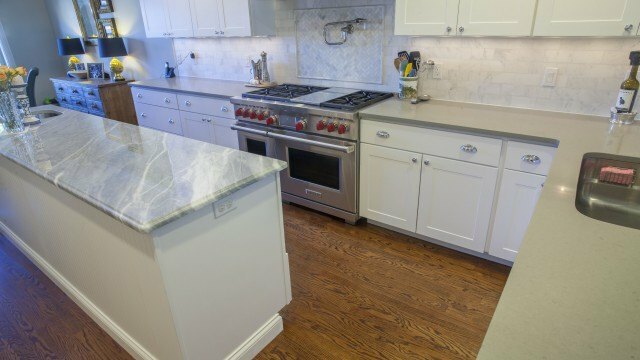 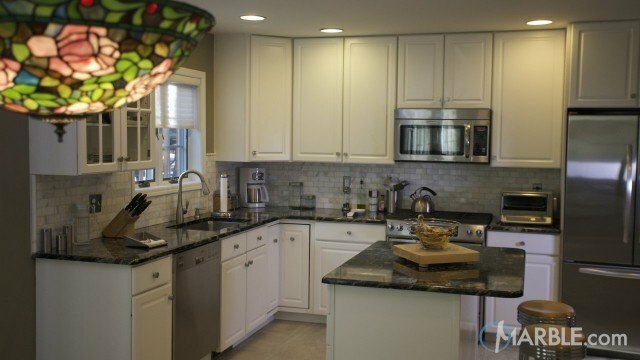 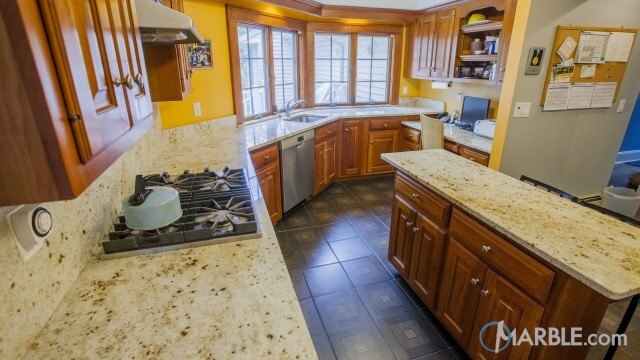 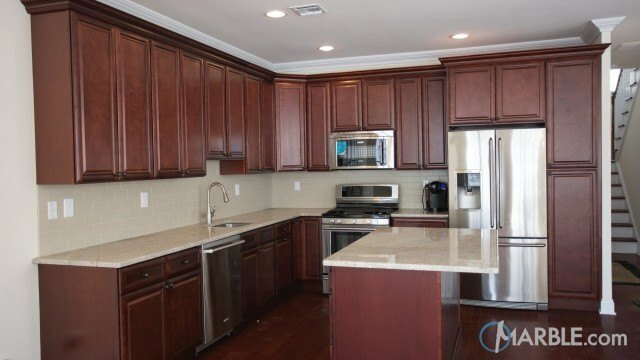 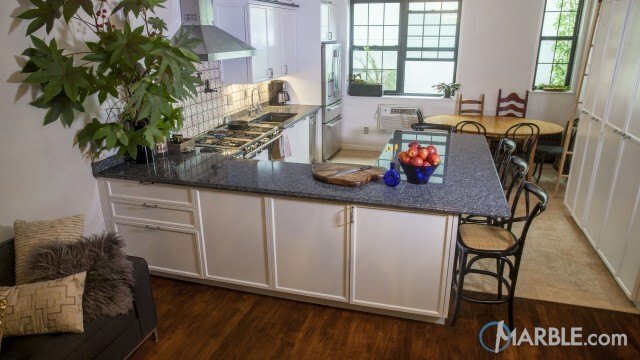 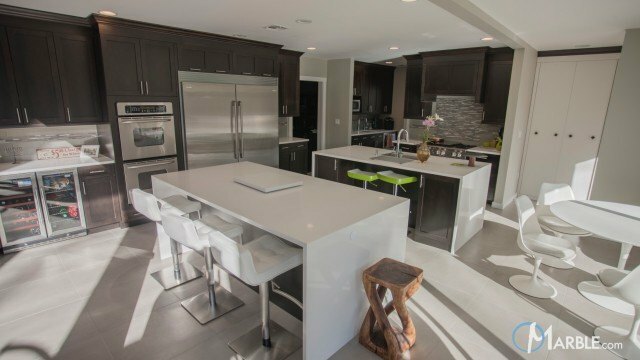 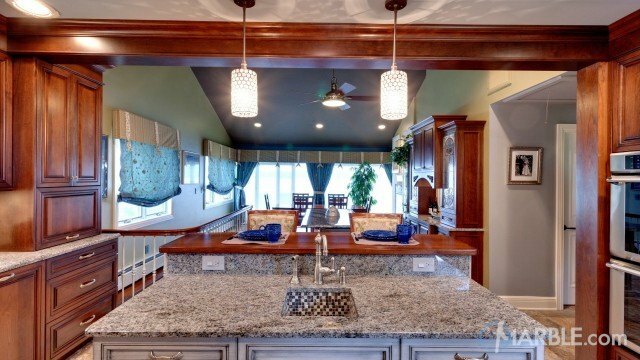 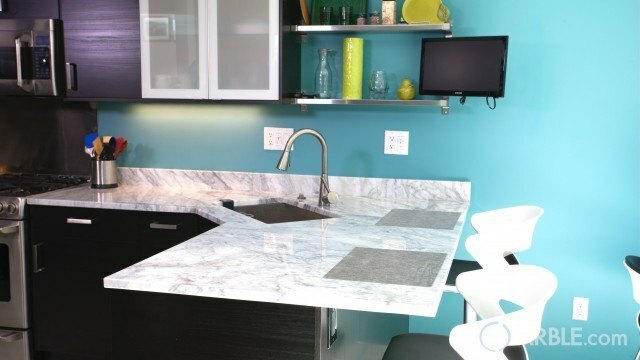 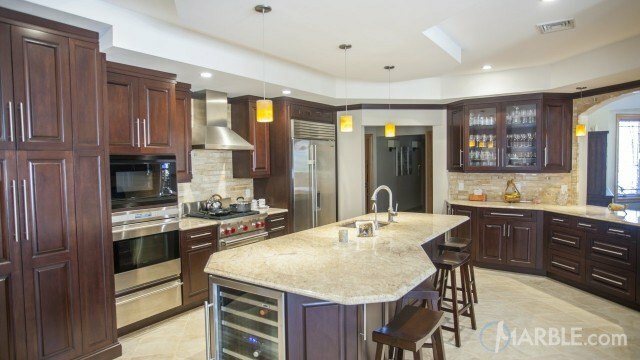 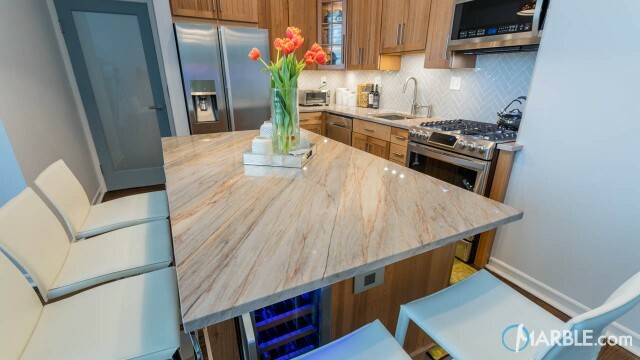 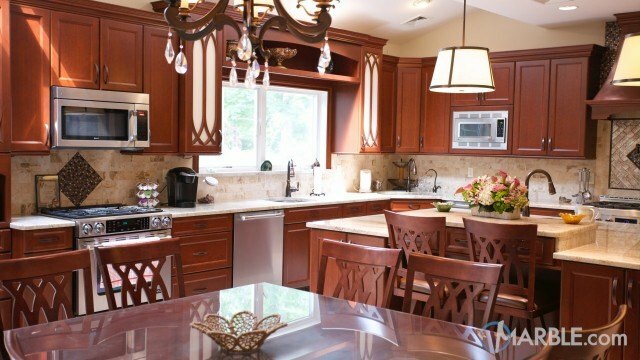 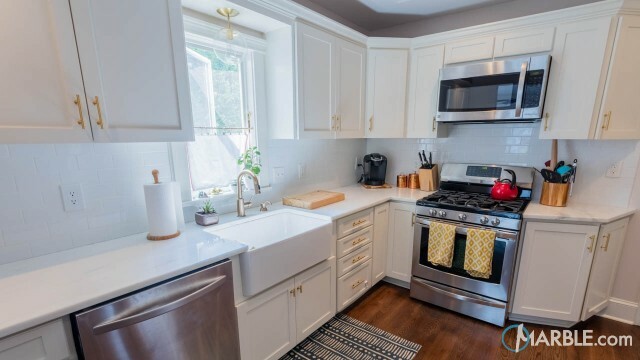 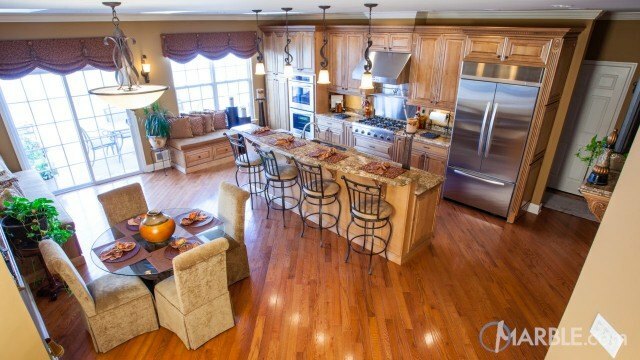 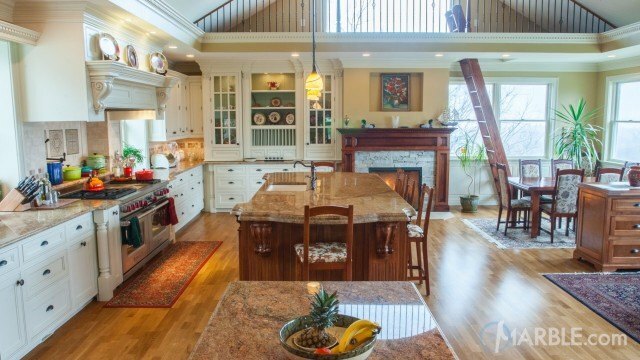 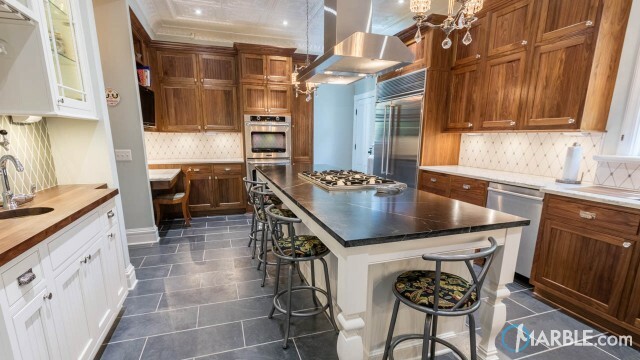 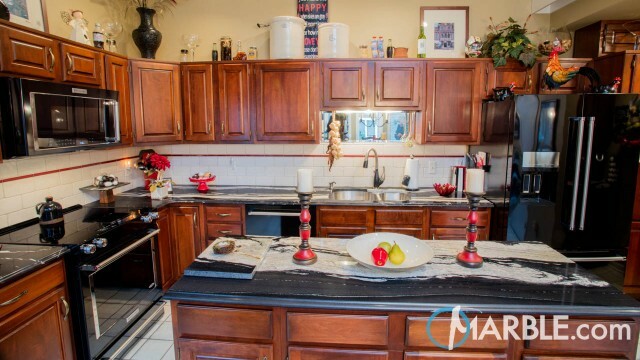 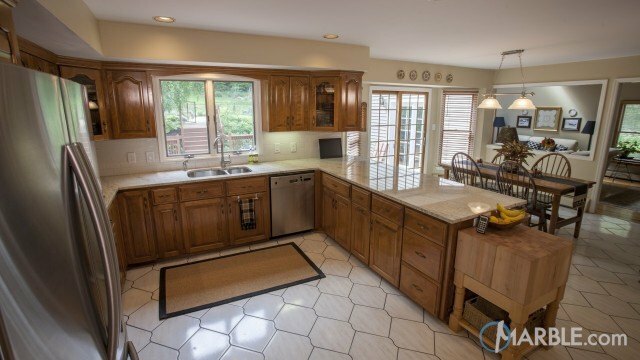 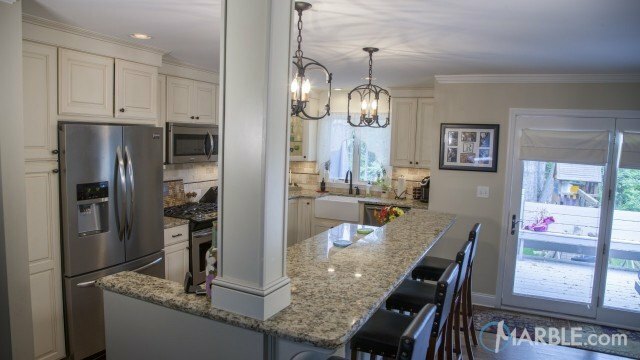 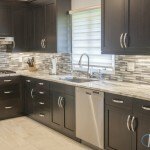 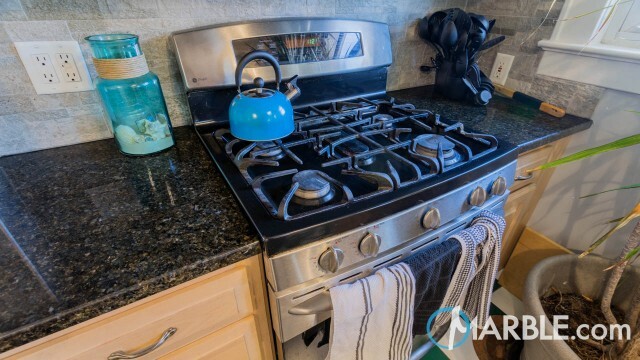 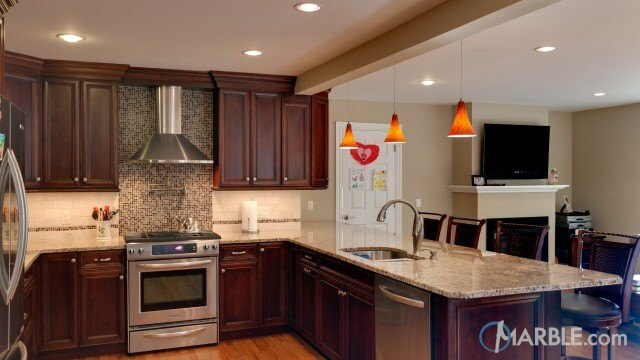 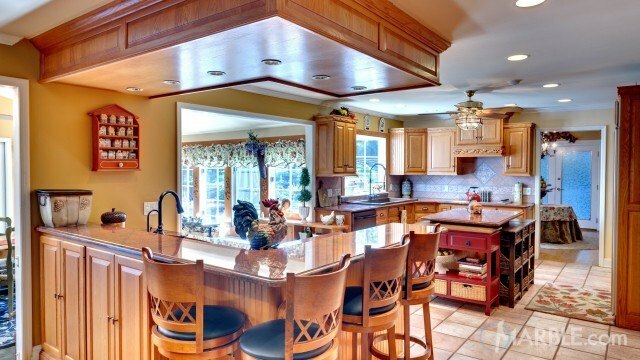 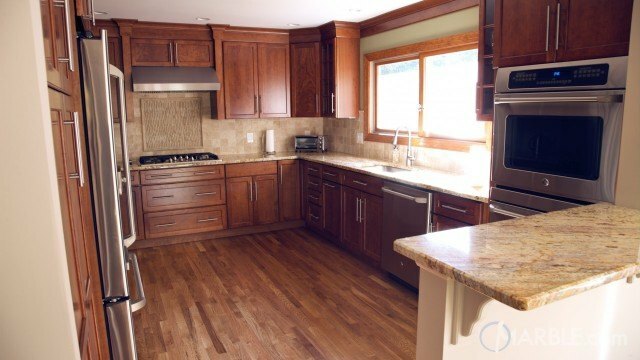 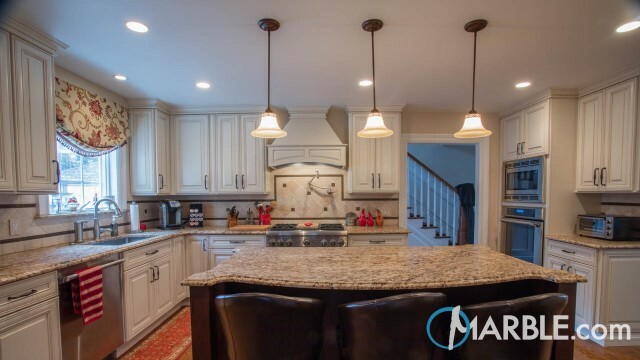 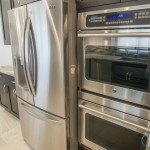 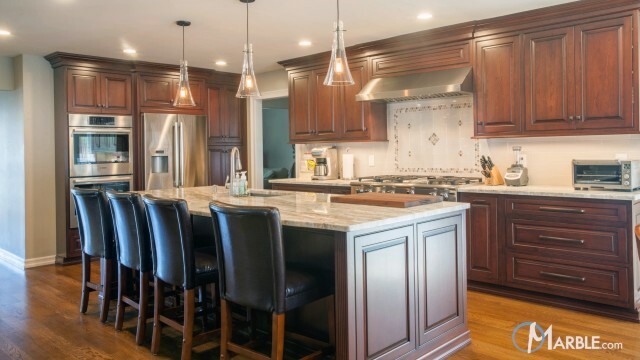 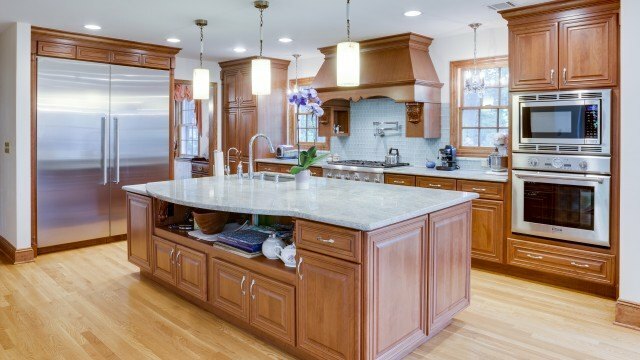 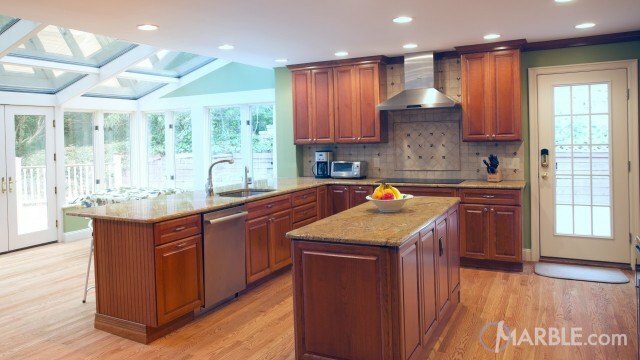 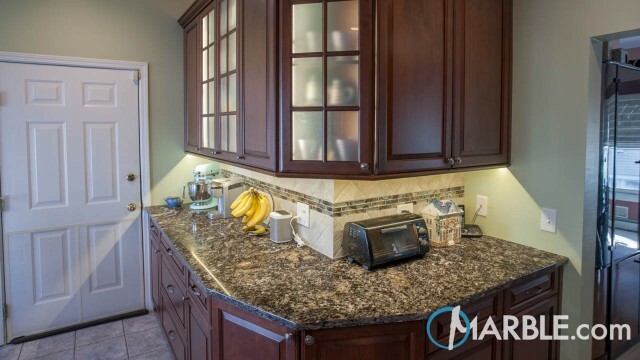 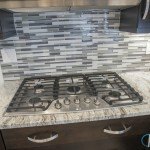 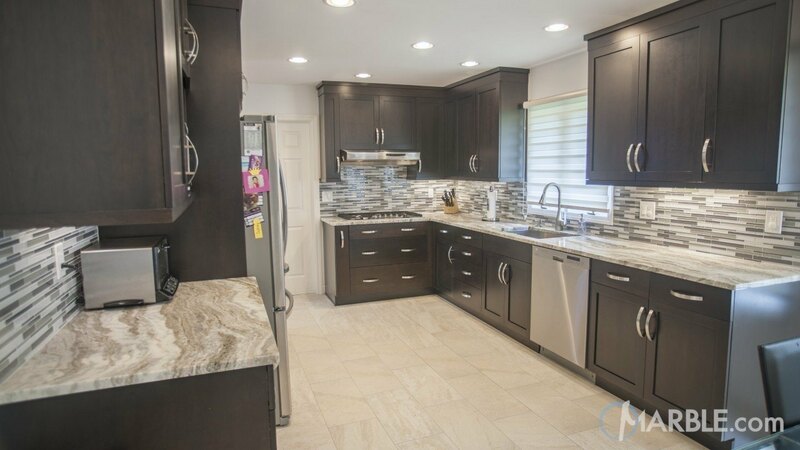 This kitchen has a straight edge that compliments a sleek modern or contemporary design.